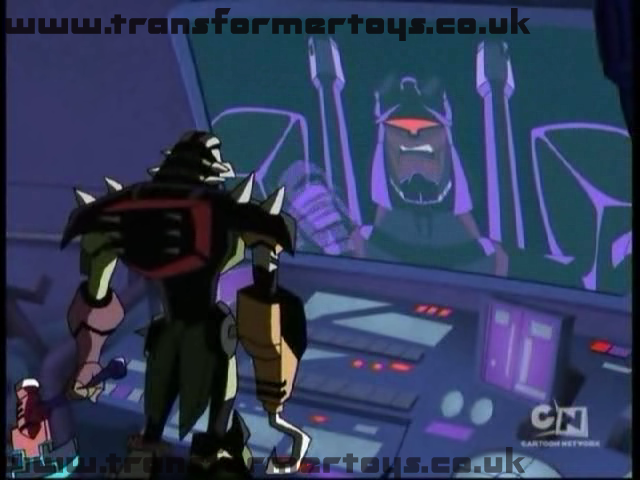 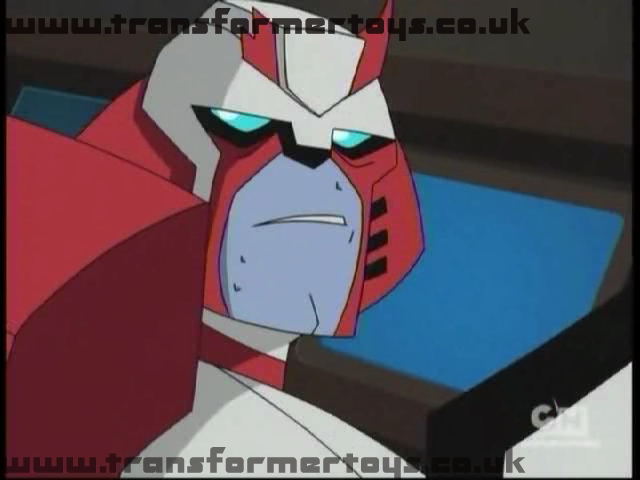 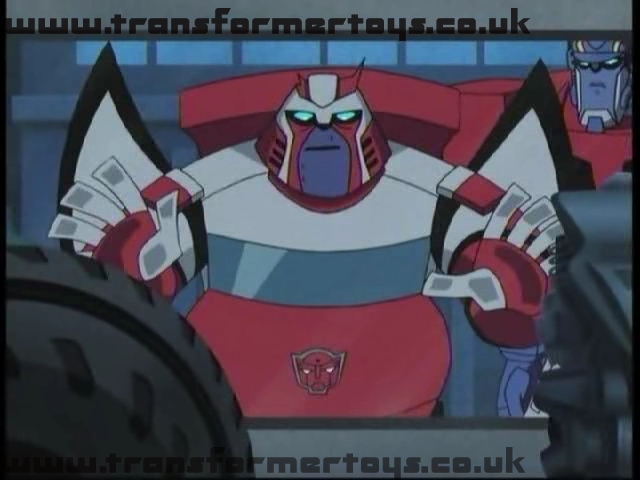 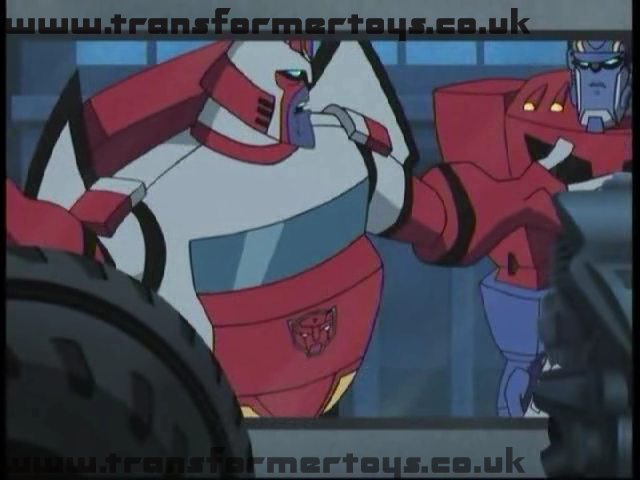 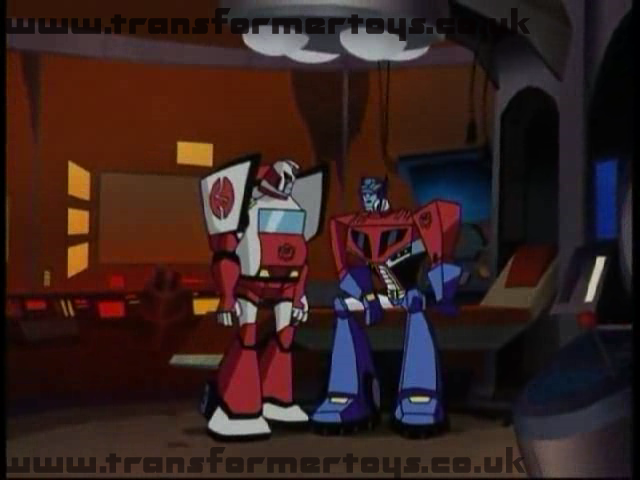 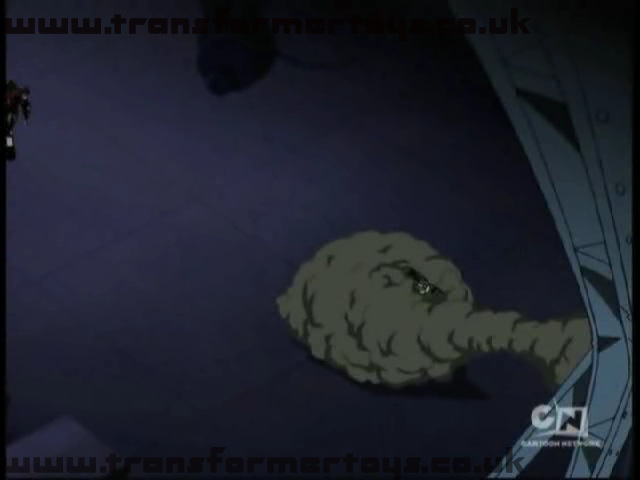 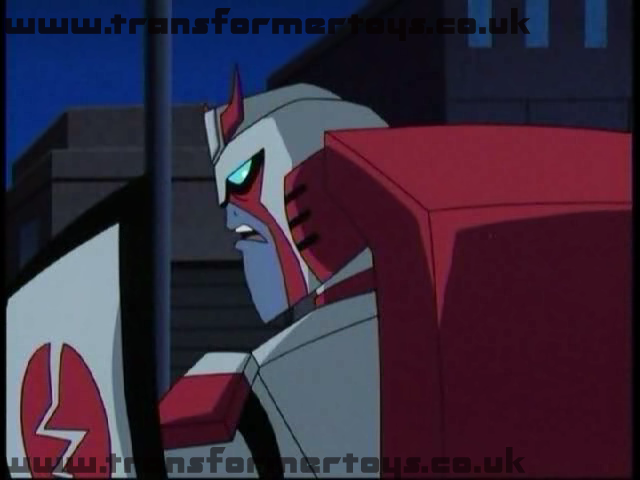 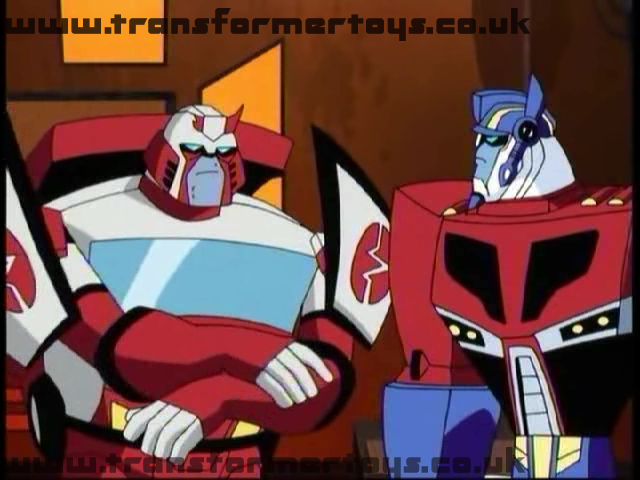 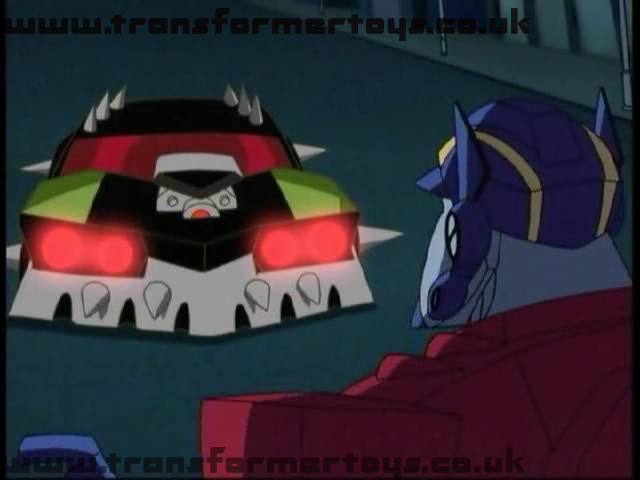 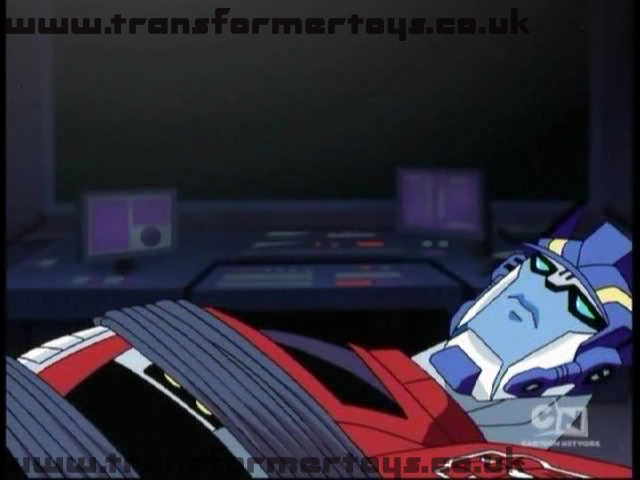 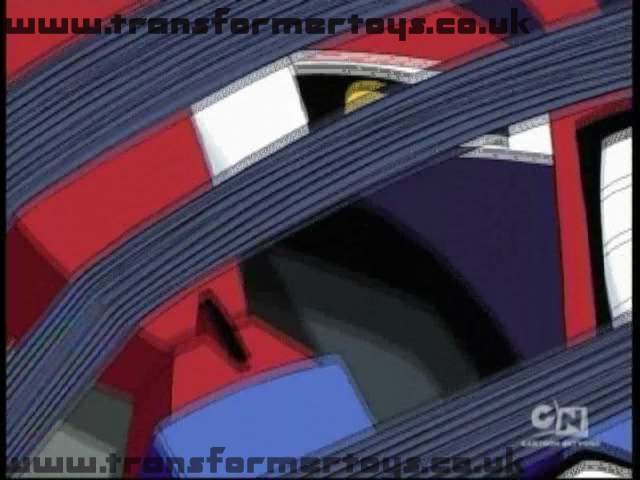 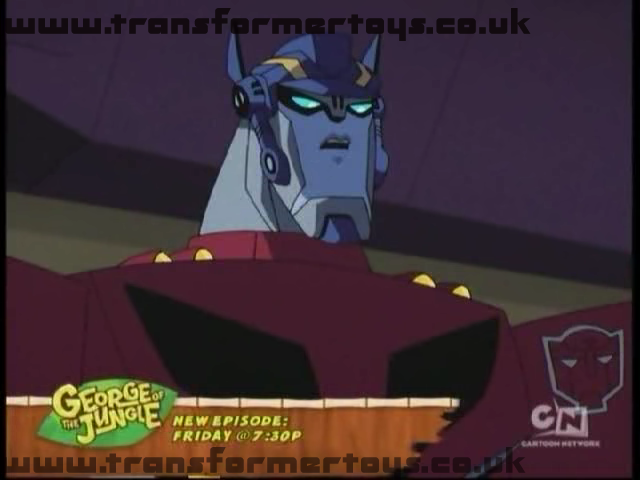 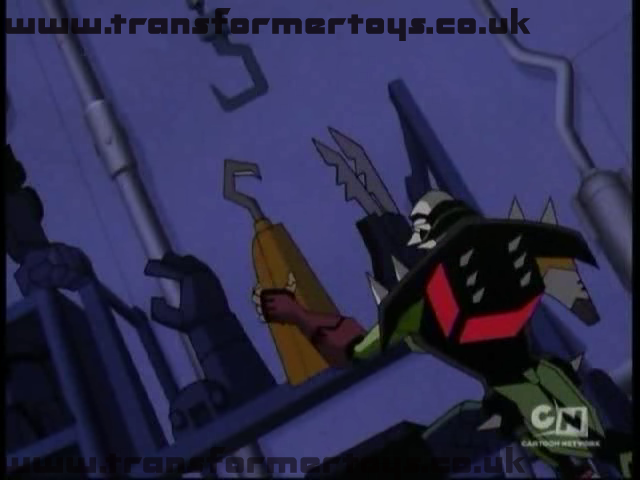 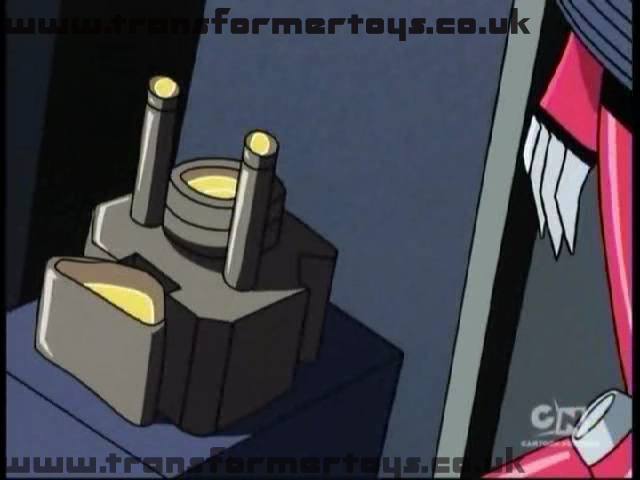 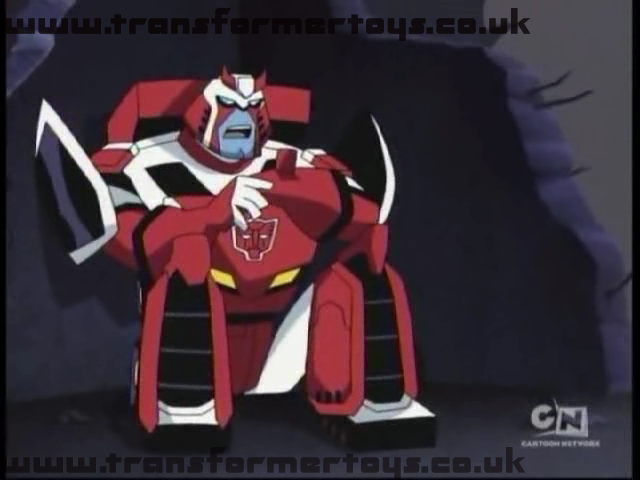 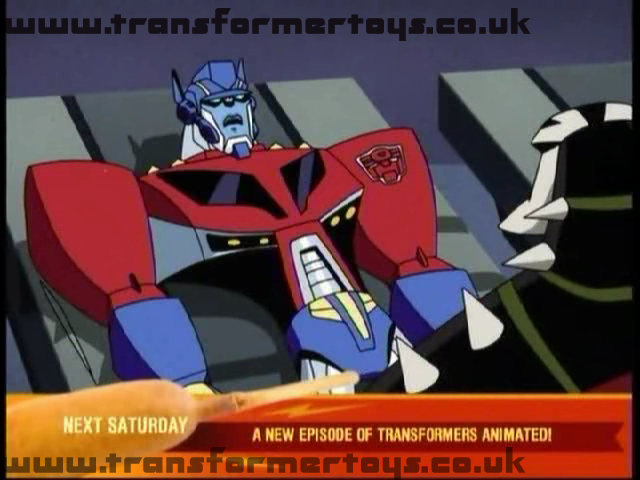 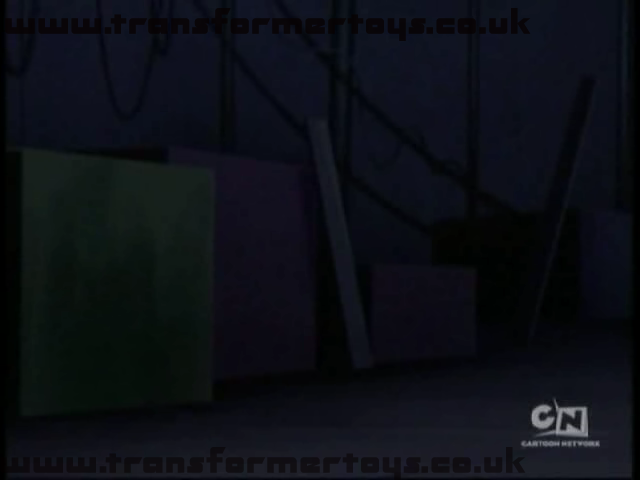 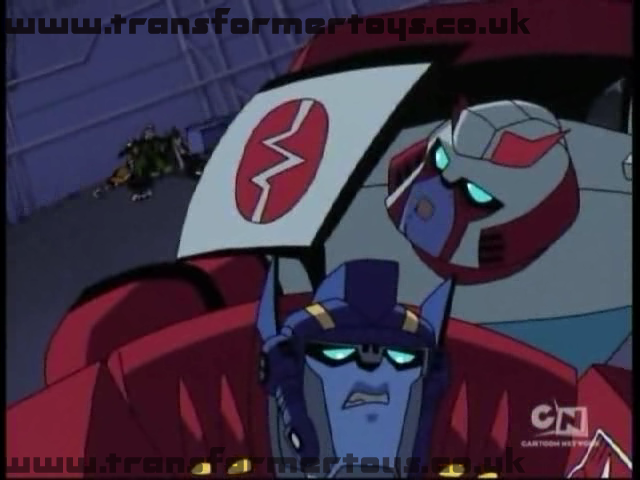 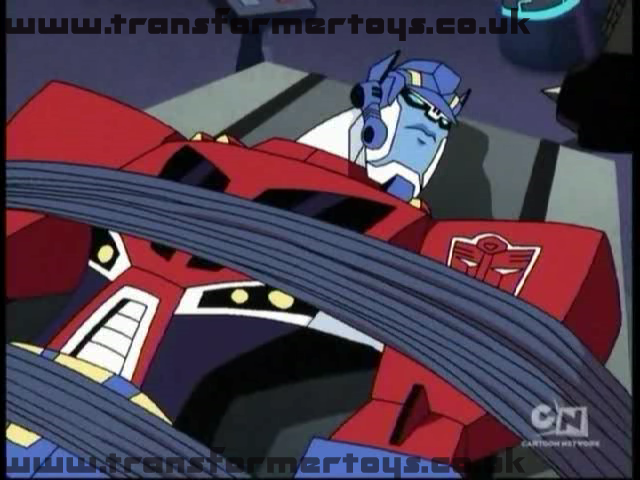 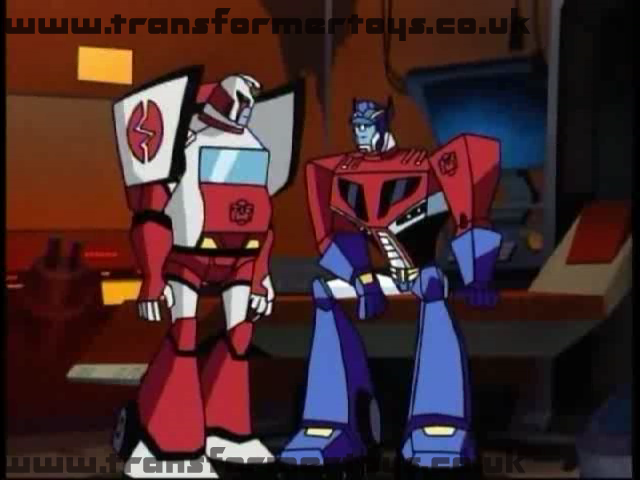 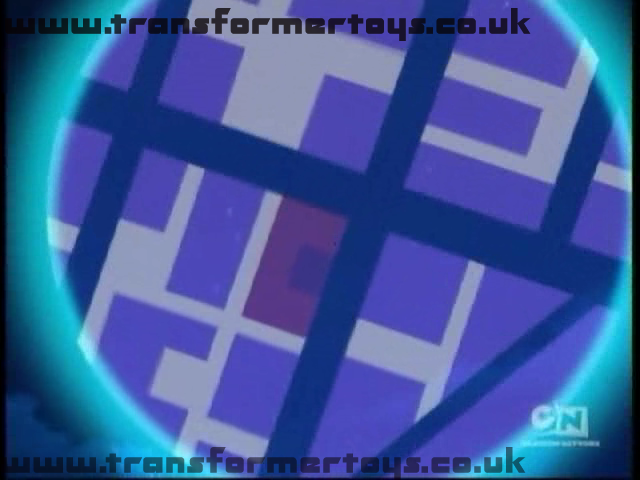 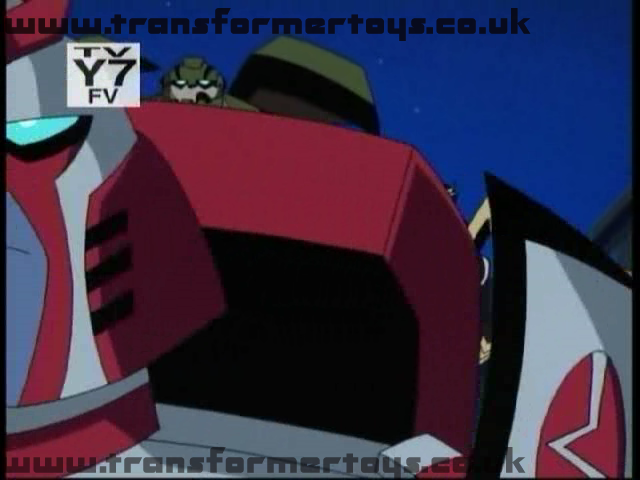 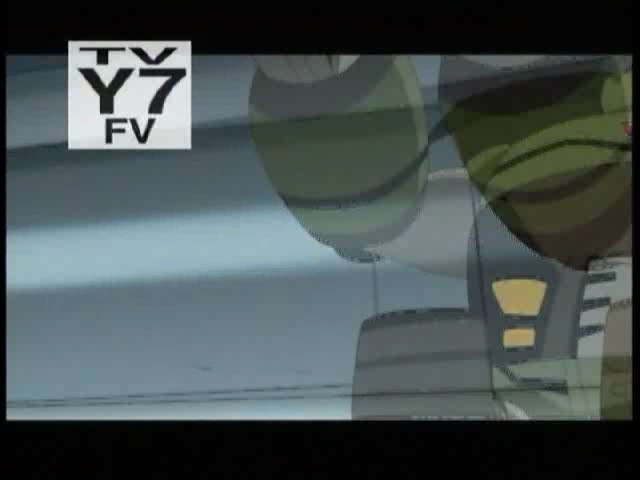 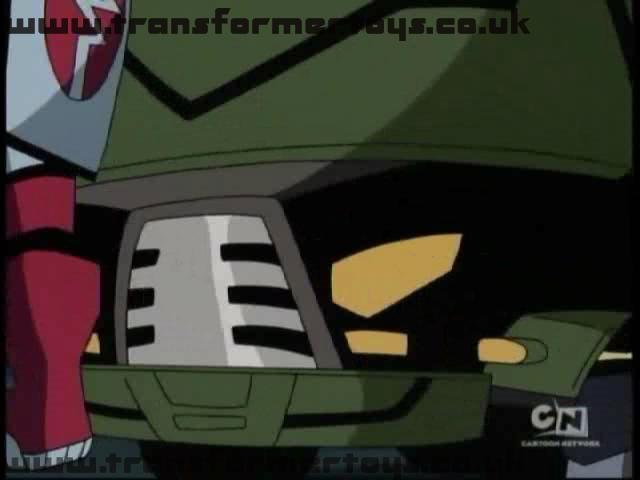 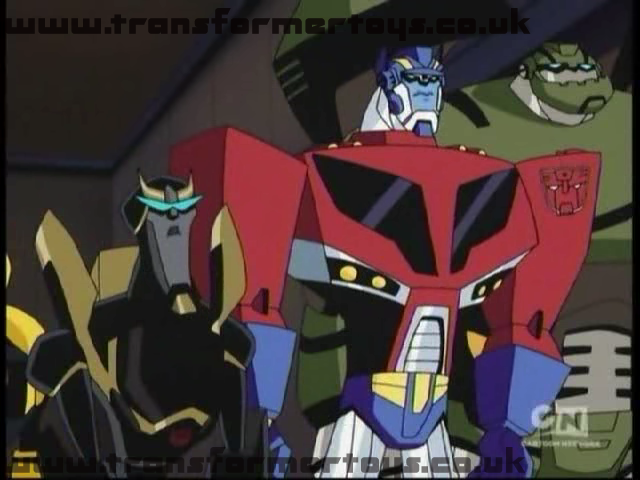 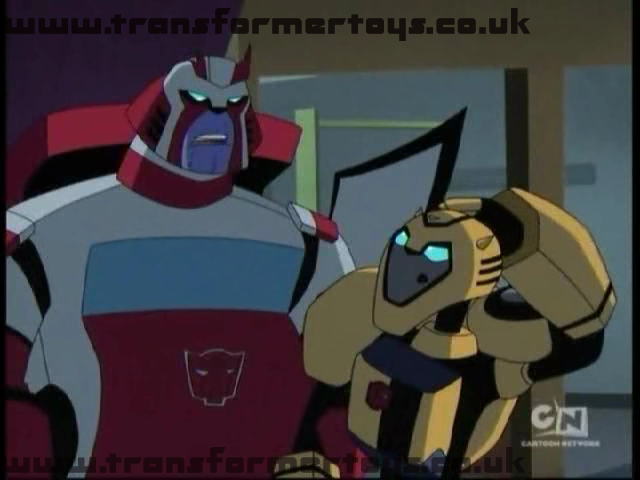 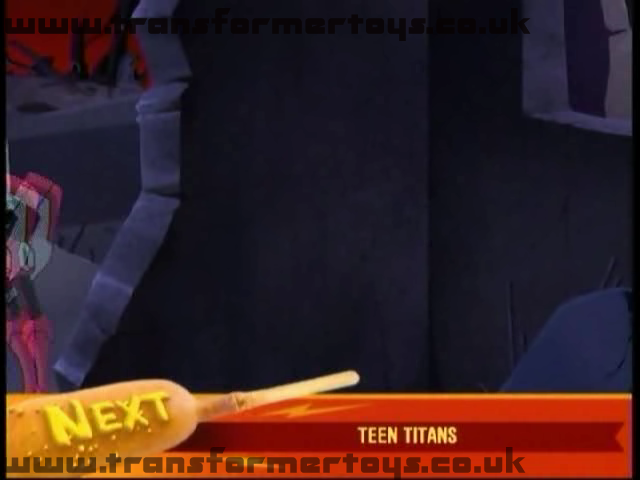 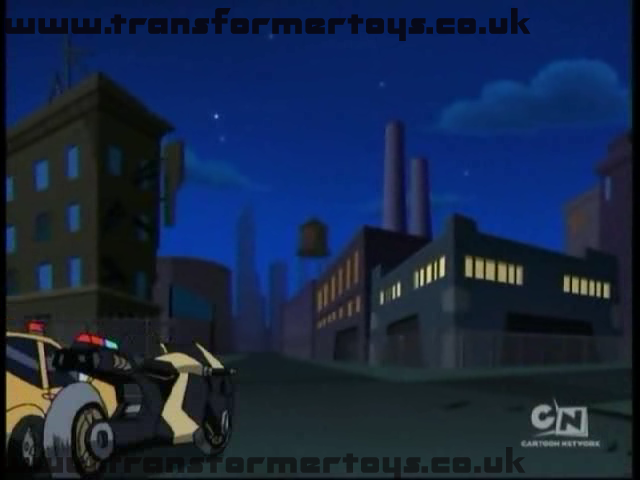 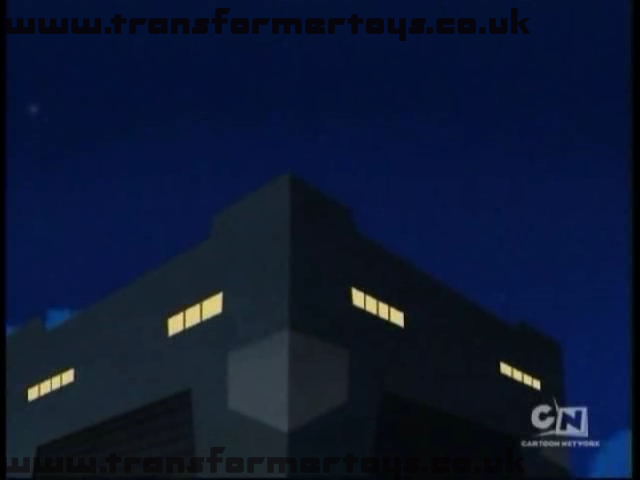 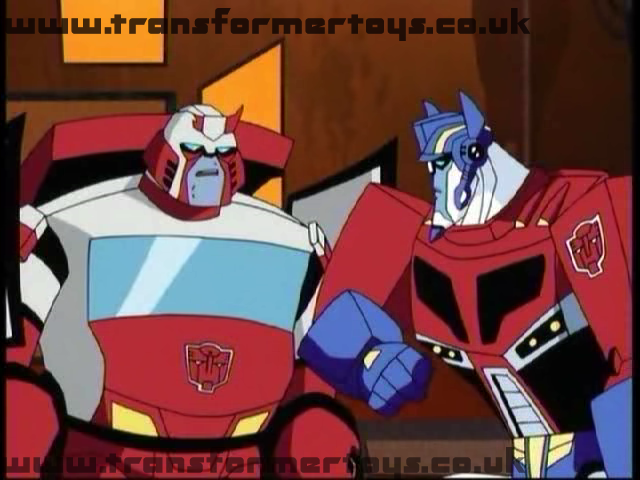 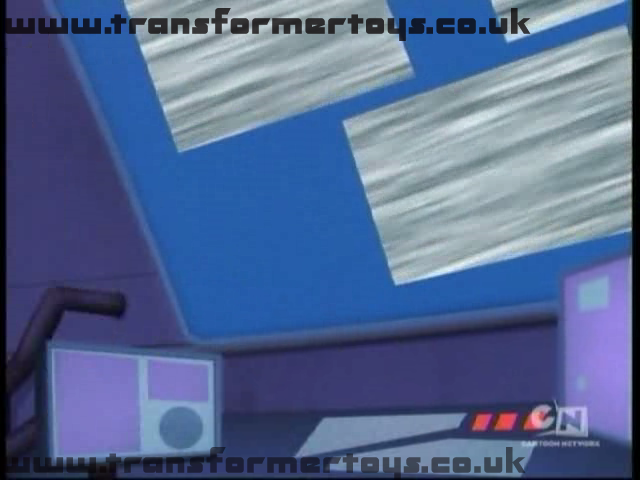 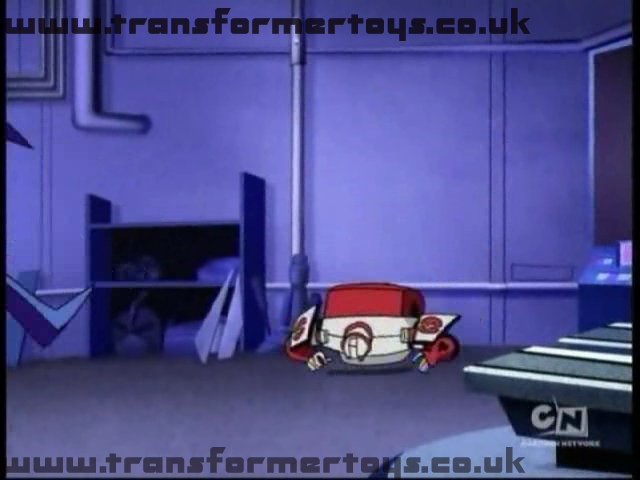 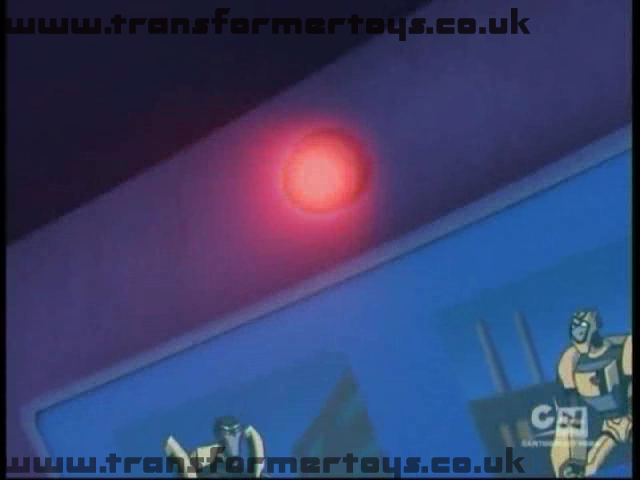 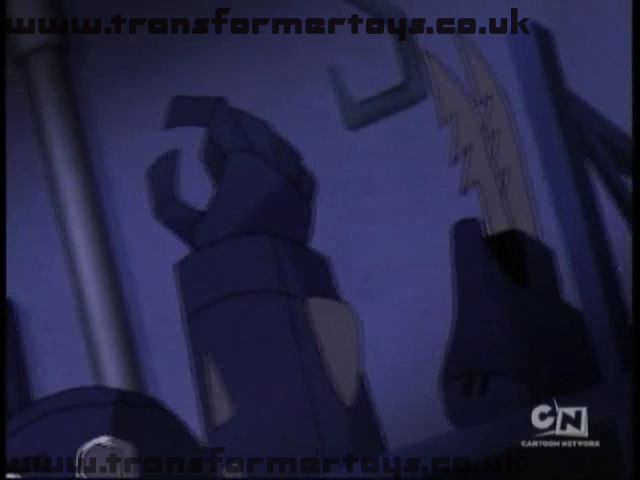 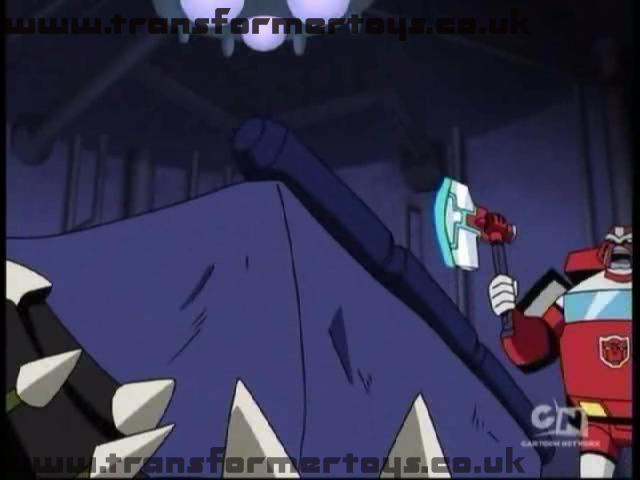 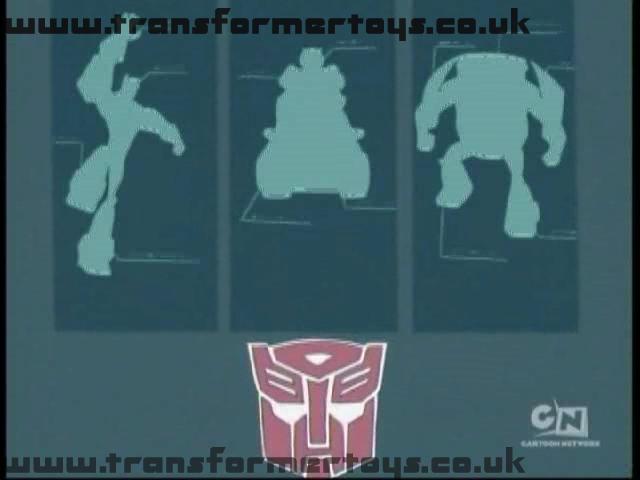 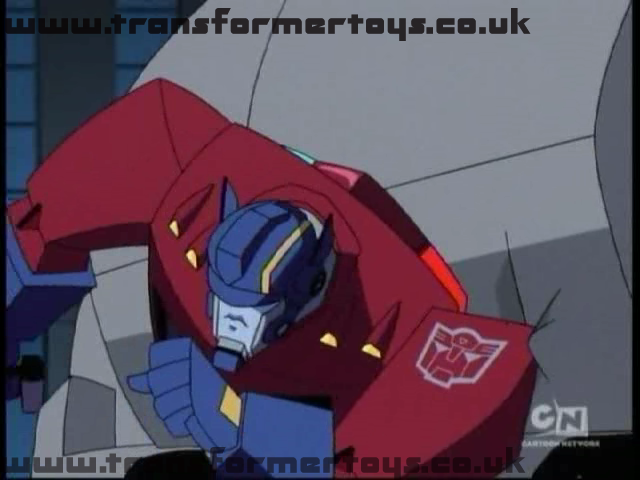 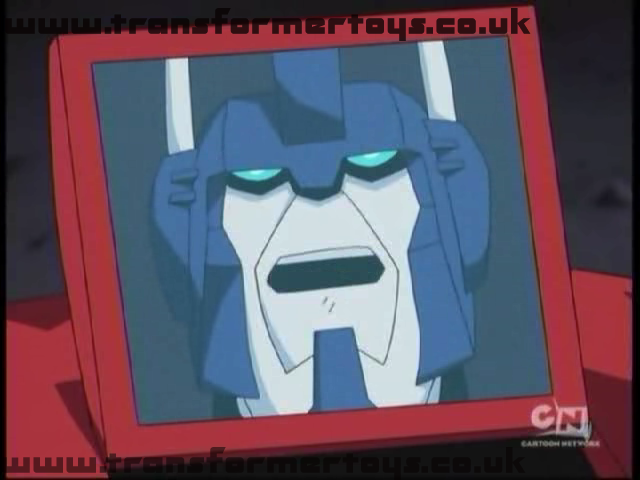 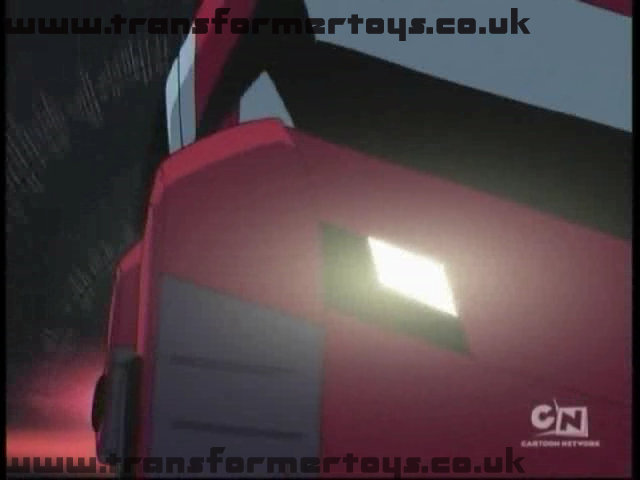 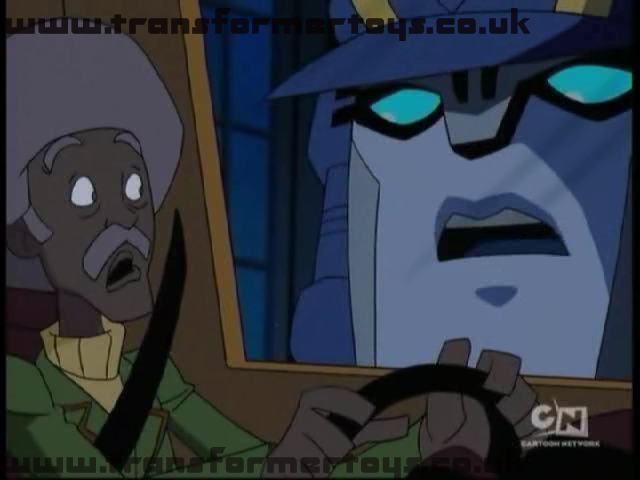 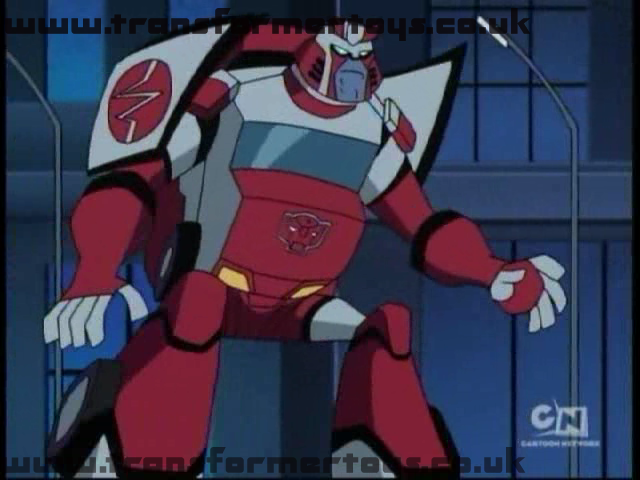 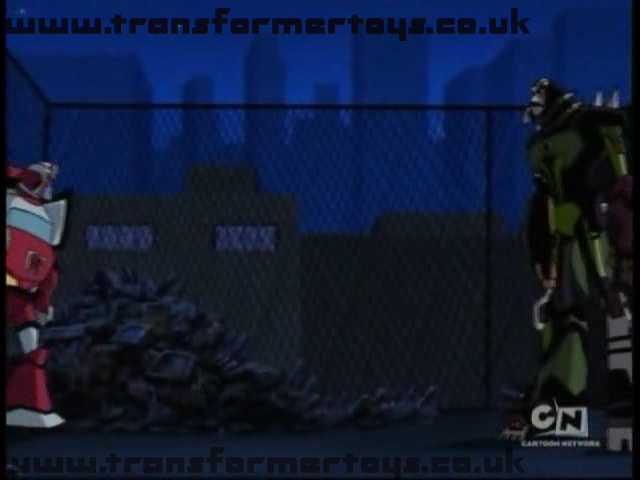 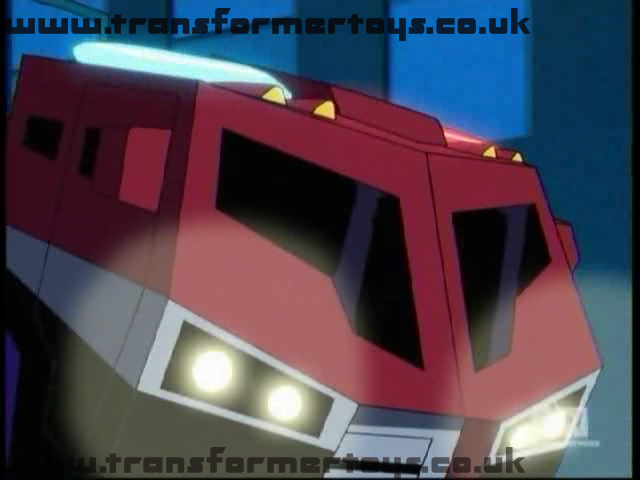 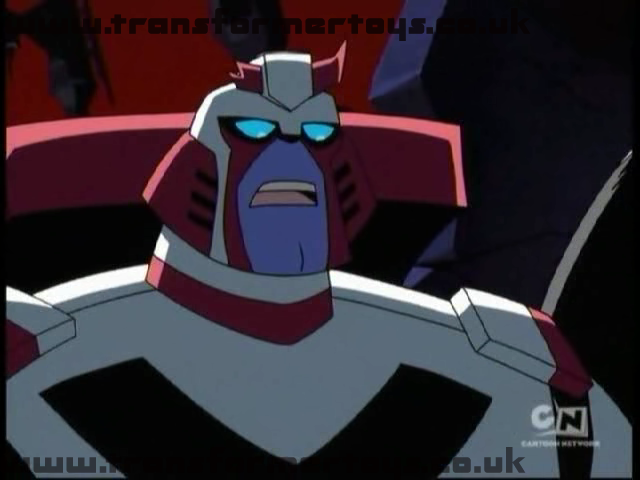 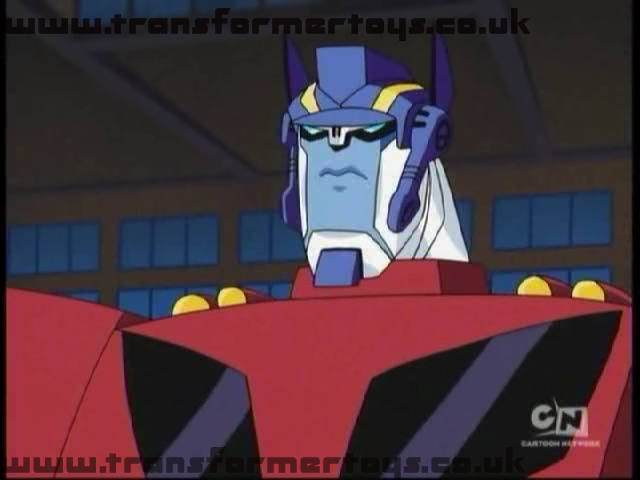 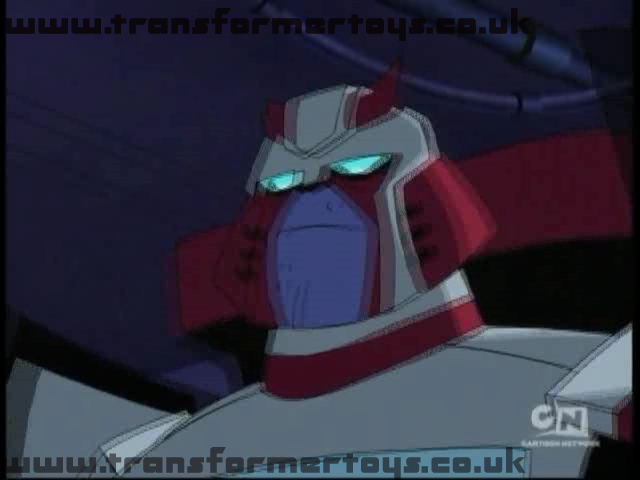 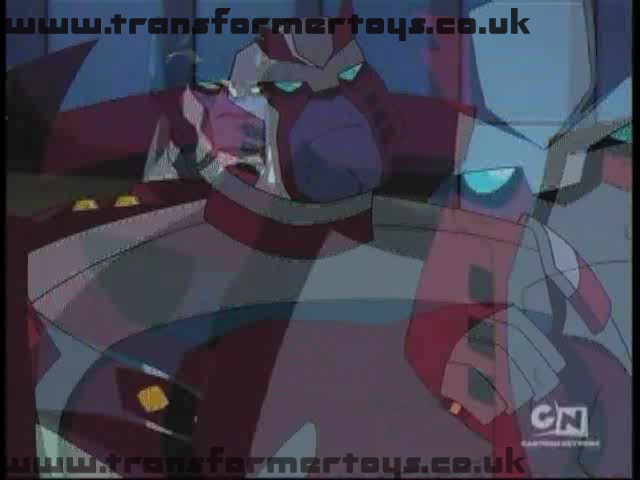 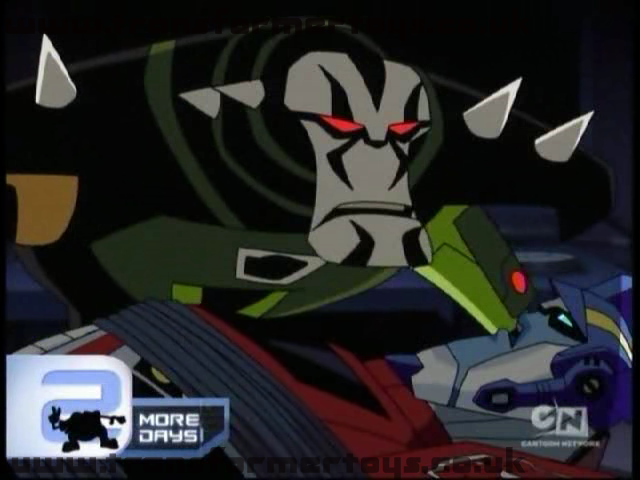 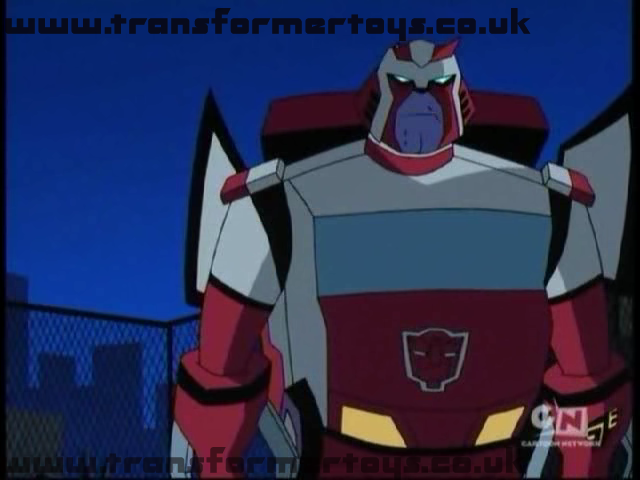 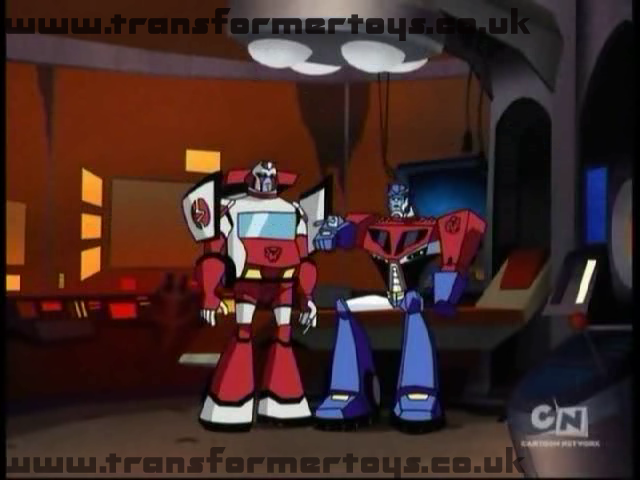 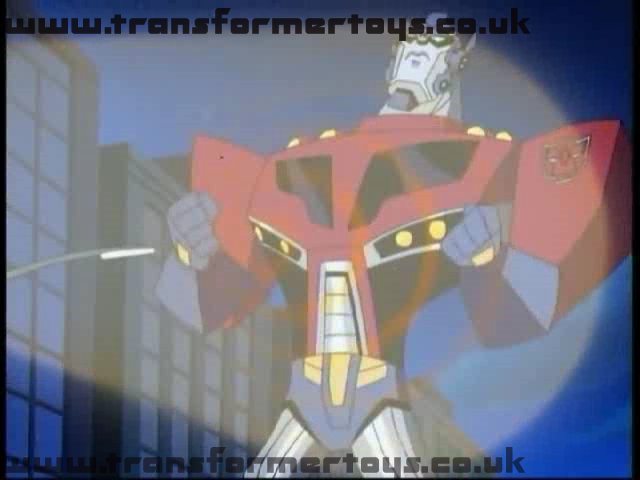 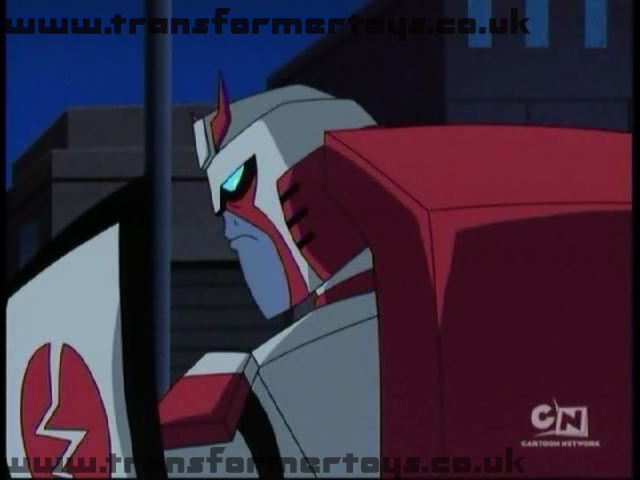 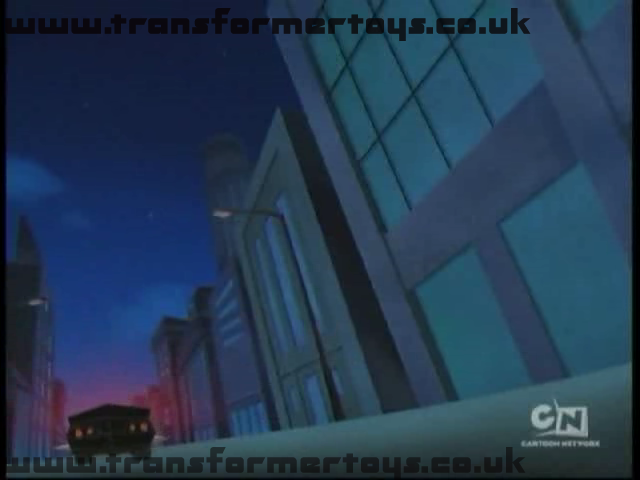 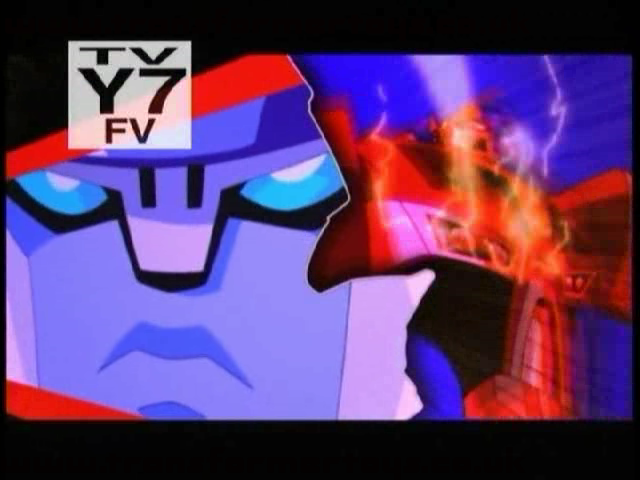 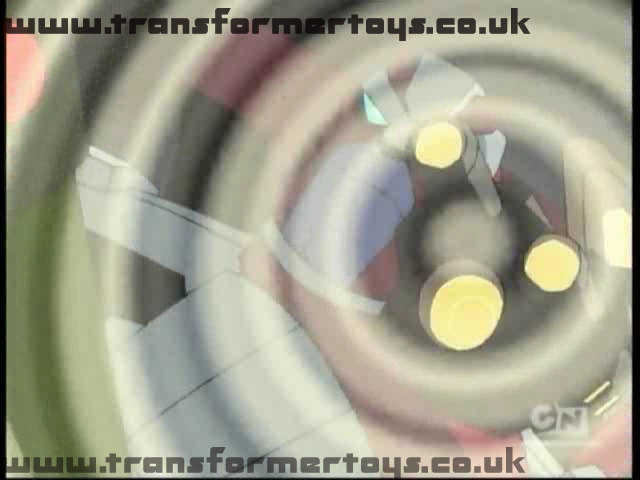 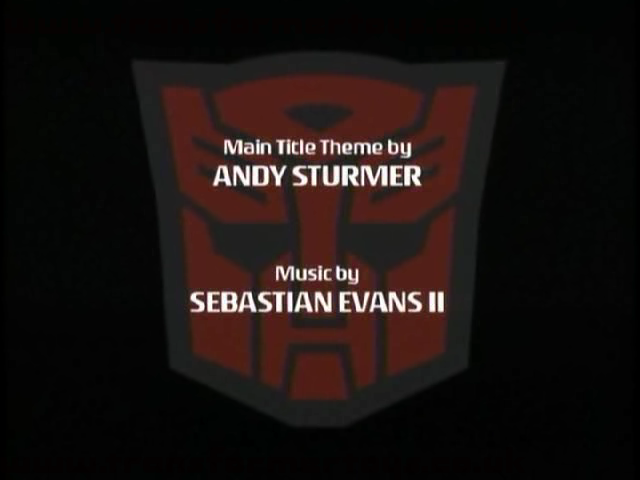 The episode starts with Ratchet and Optimus Prime looking through the window of a second hand car part dealer. 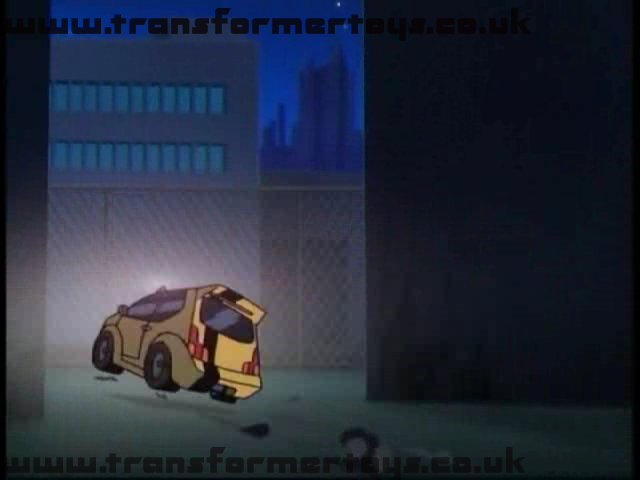 Bumblebee exists the dealer just before a Muscle car rushes past. 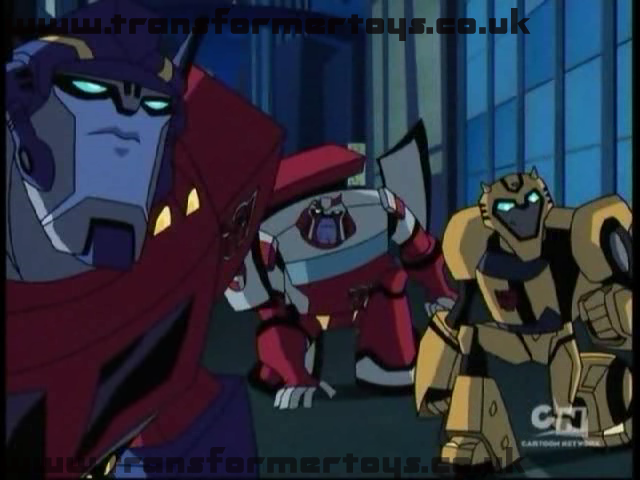 Prime orders the other two Autobots to pursue the muscle car and a chase ensues, after which the car disappears. 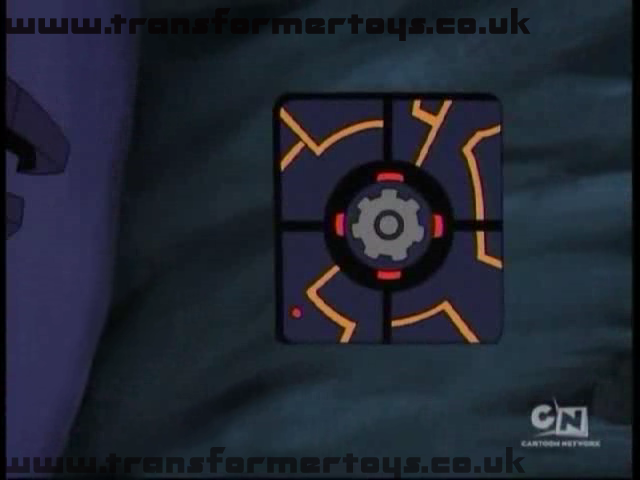 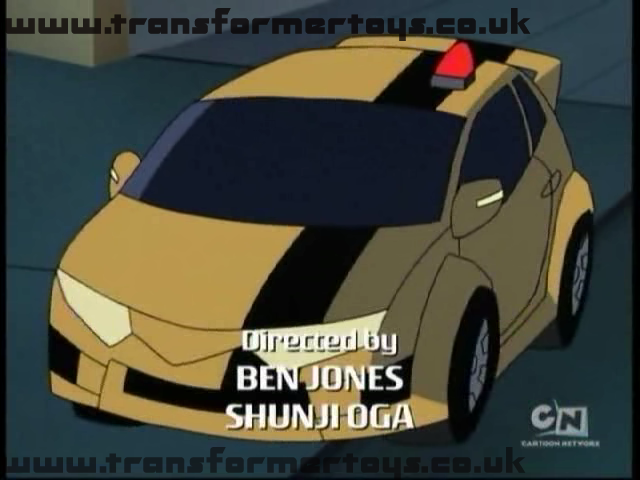 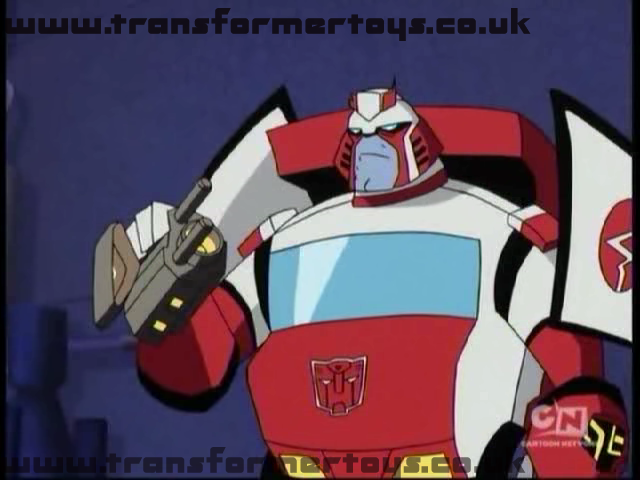 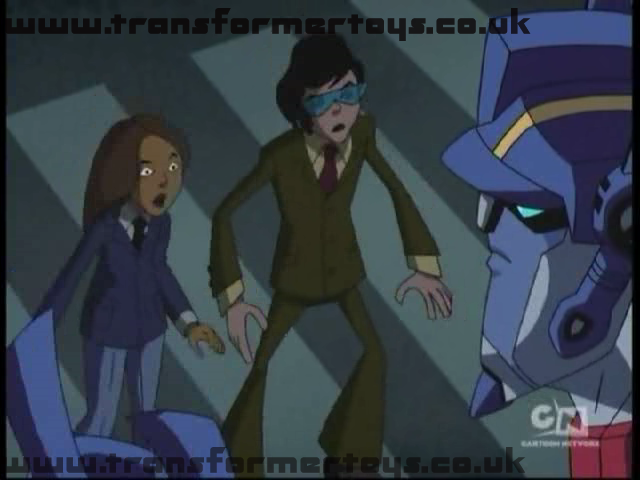 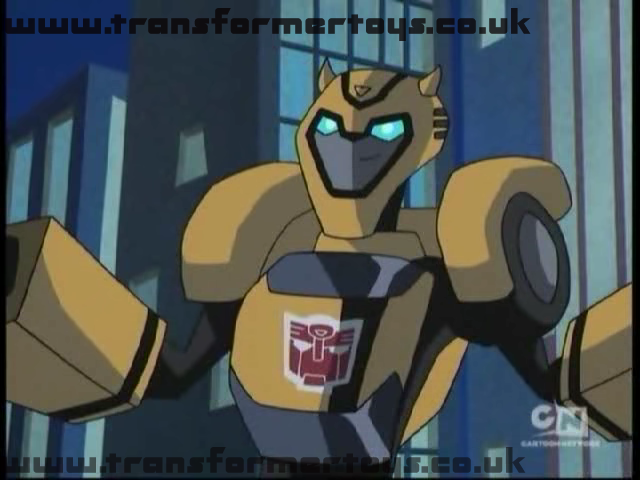 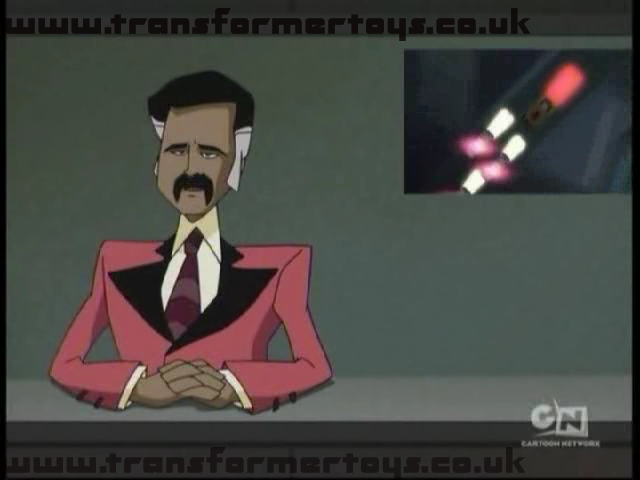 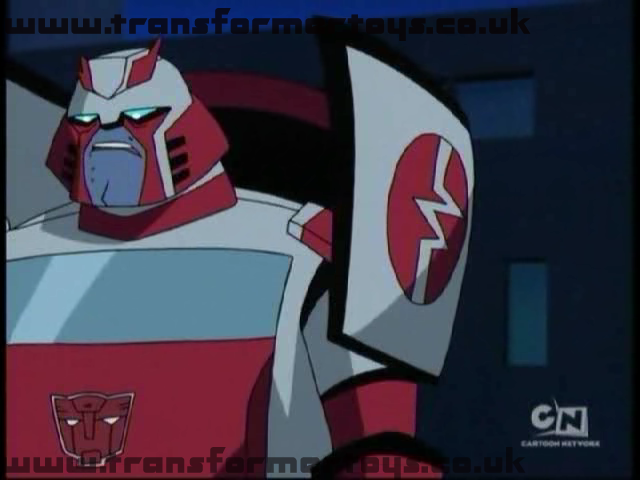 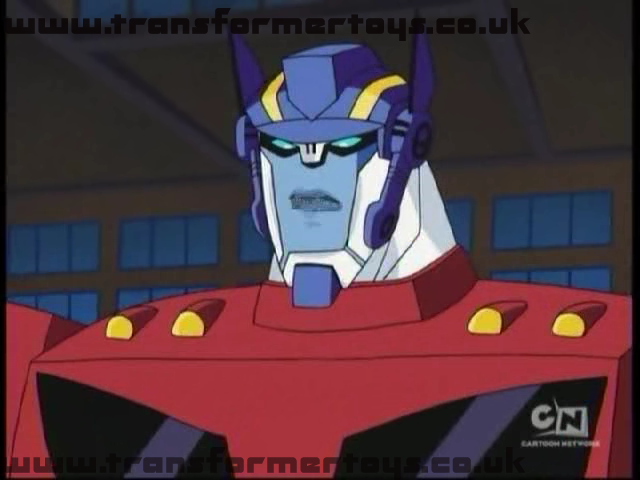 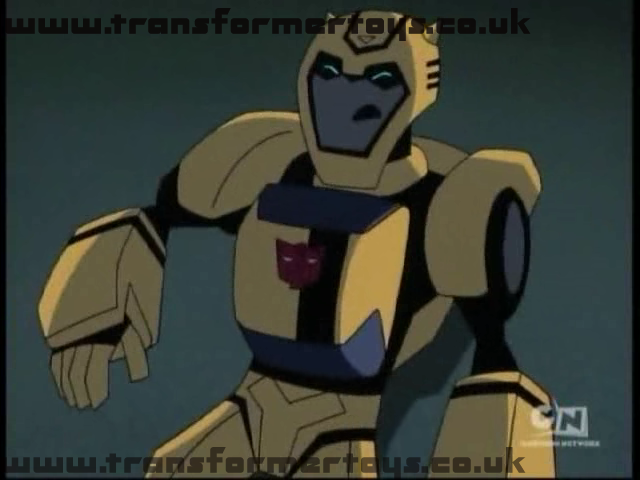 During the chase Ratchet has a flash back to the great war on Cybertron, he is a medical officer for the Autobots, under the leadership of Ultra Magnus, and is searching for a female intelligence office. 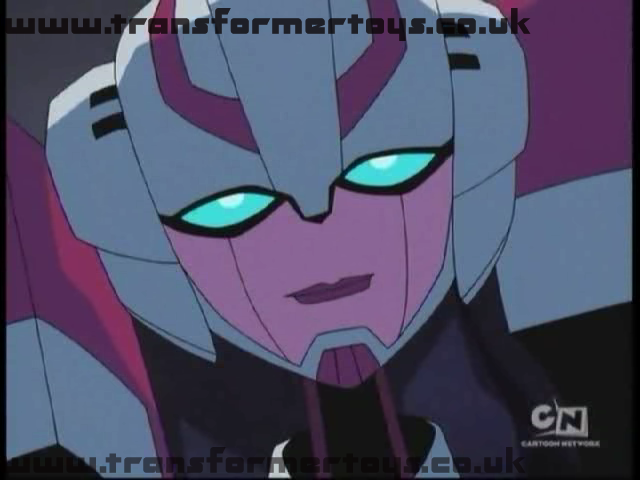 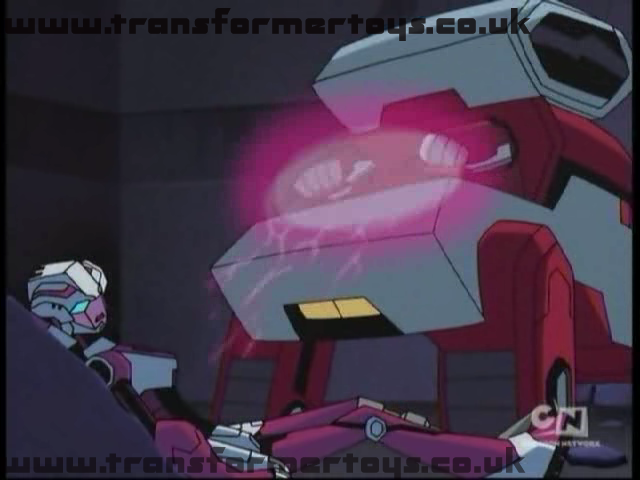 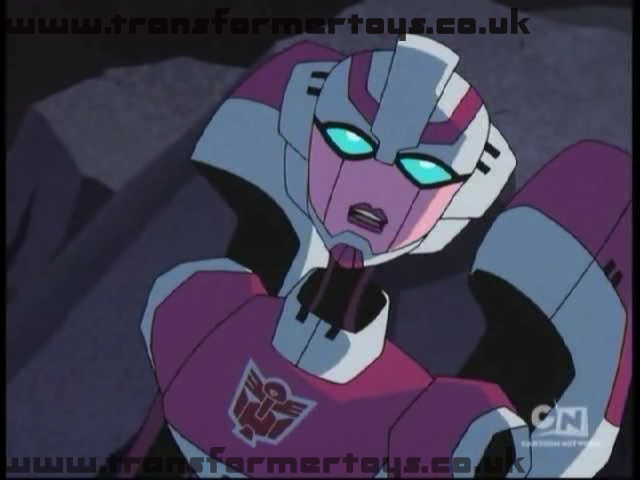 The office is Arcee, who is badly damaged and in need of repair. 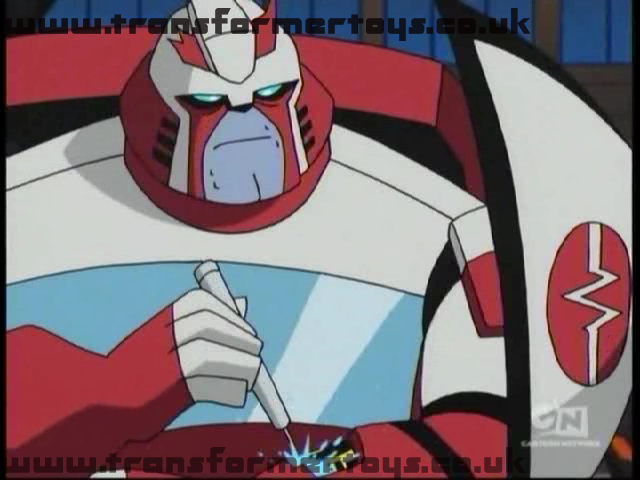 Ratchet starts a makeshift repair job when something interrupts and the flashback then ends. 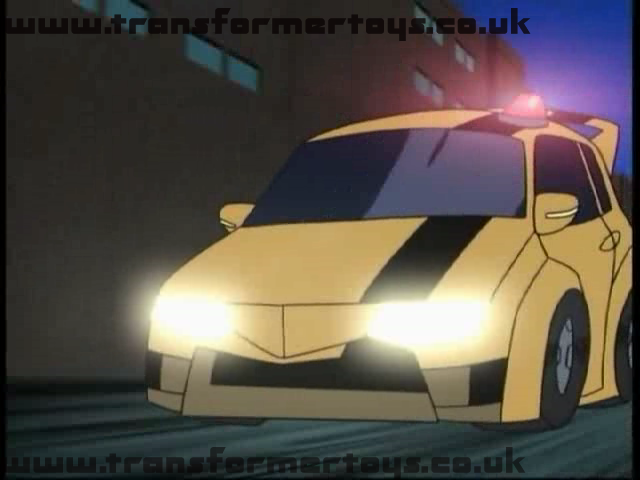 Whilst reviewing the footage of the car on TV, it is noted that where ever the car goes a blackout follows. 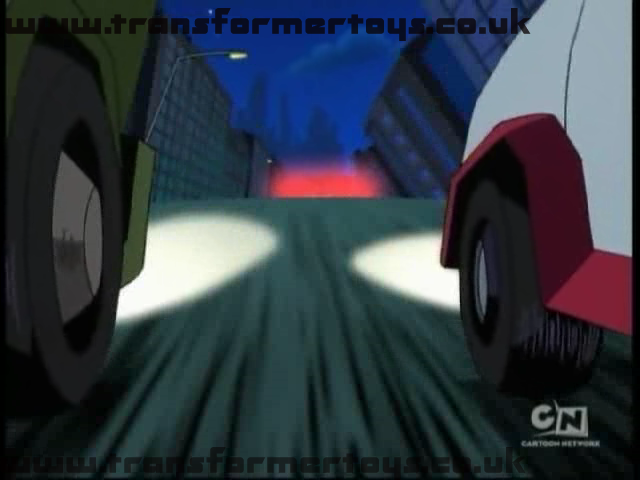 This prompts a second flashback from Ratchet showing him and Arcee running from a similar vehcile, which turns out to be a bounty hunter called Lockdown. 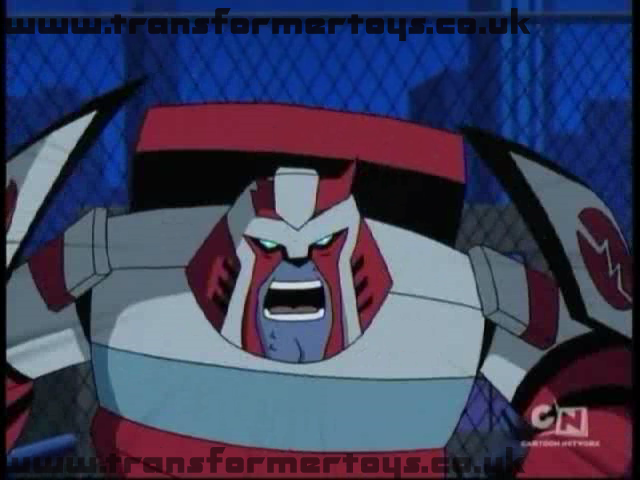 Lockdown has been hired by the Decepticons to capture Arcee and take her back to Megatron. 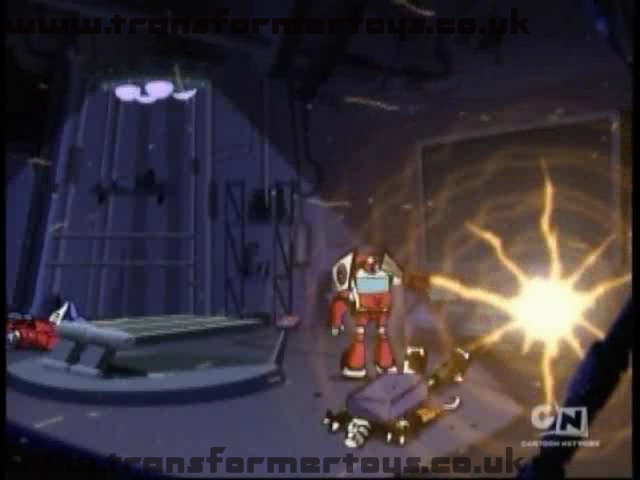 Ratchet tried to stop Lockdown, and during their brief fight Lockdown's right arm (which he fires off) is destroyed. 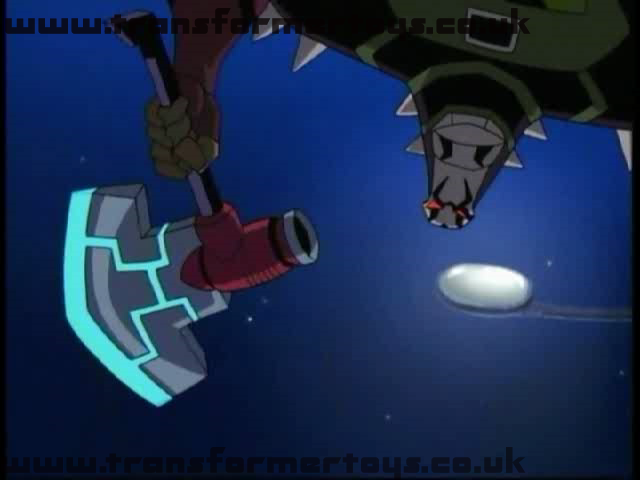 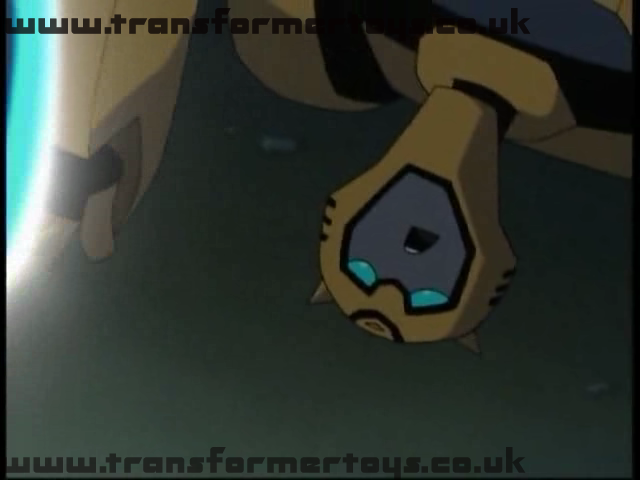 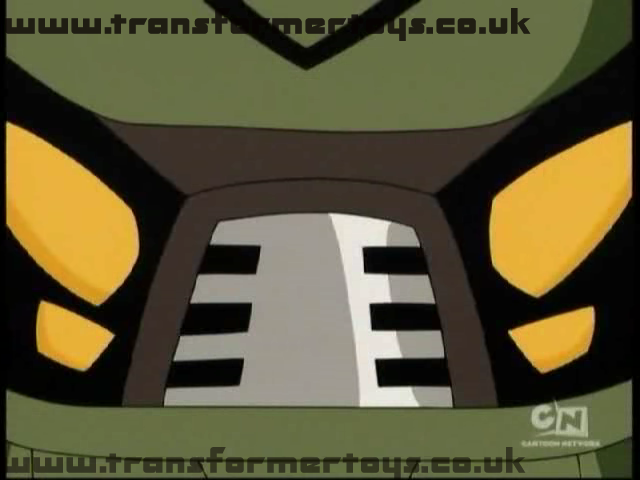 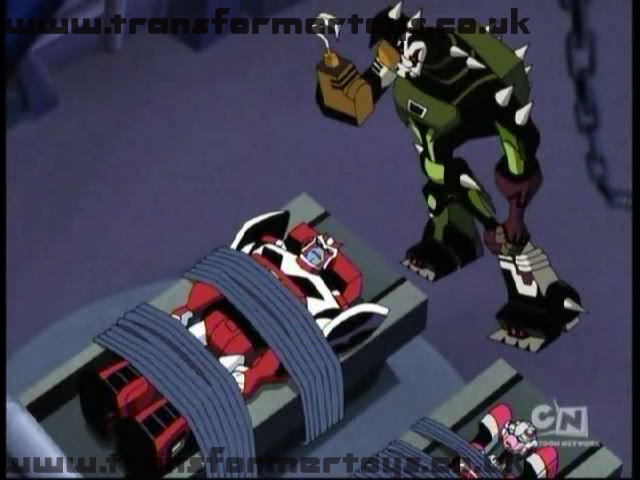 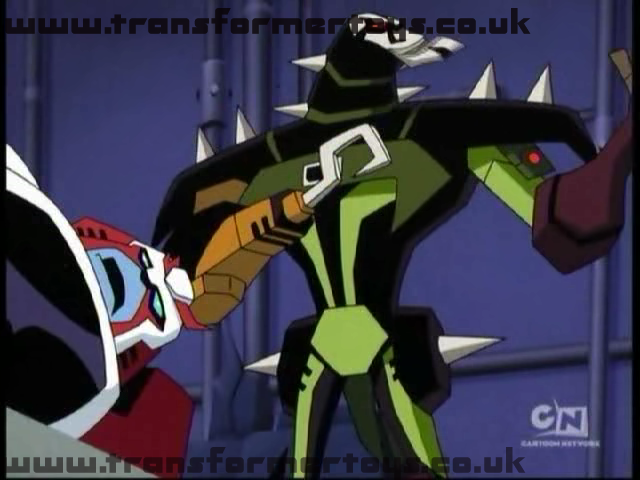 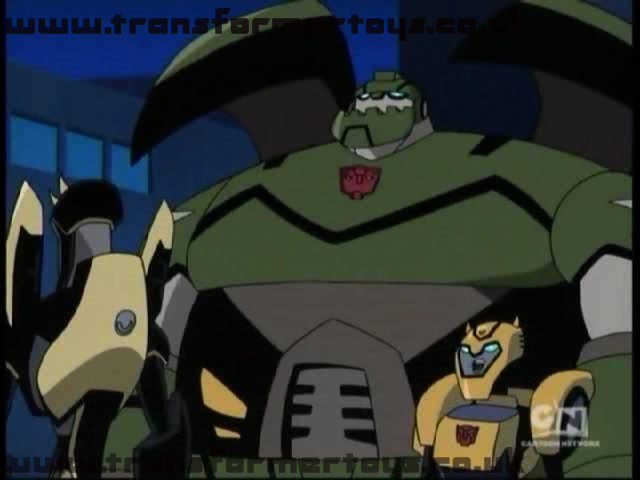 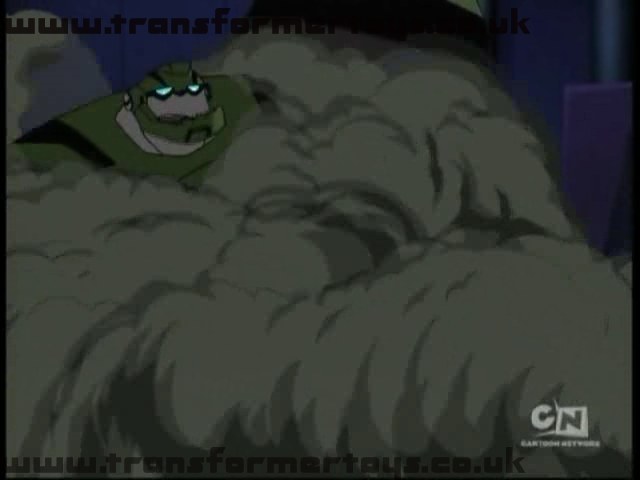 Ratchet then gets trapped and knocked out by Lockdown before Ratchet is bought back to reality with Bulkhead asking him if he'd not heard Prime. 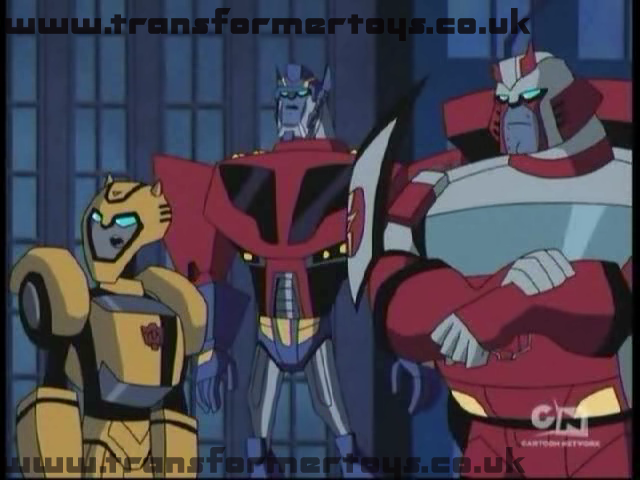 The Autobots leave in chase of the muscle car, still unaware of it's true identity. 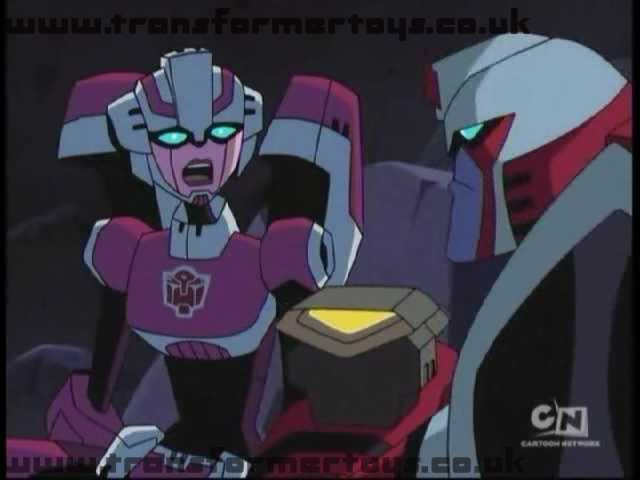 Ratchet has a third flashback, ths time showing himself and Arcee capture by Lockdown. 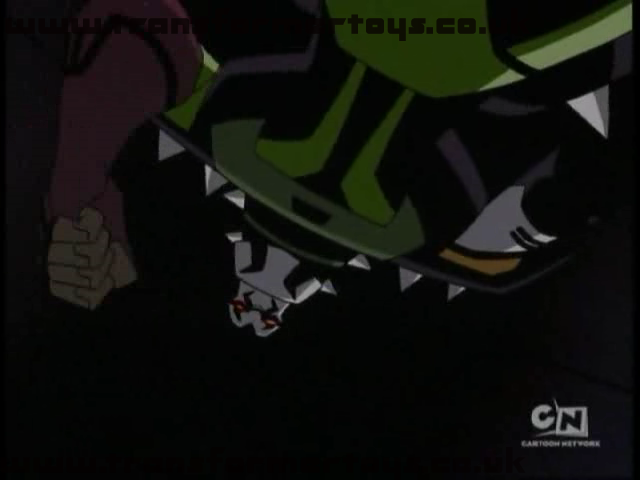 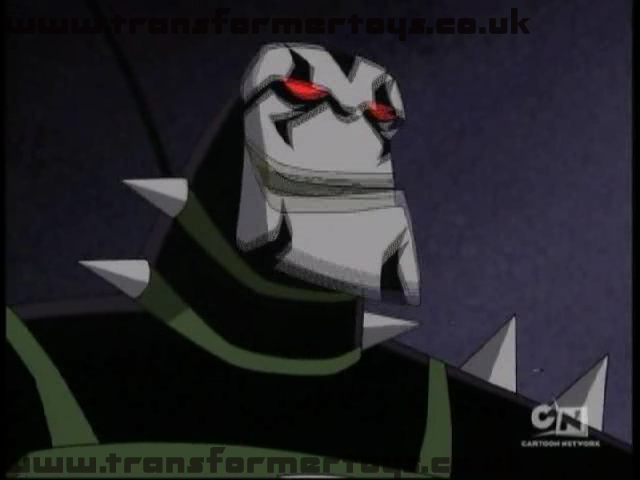 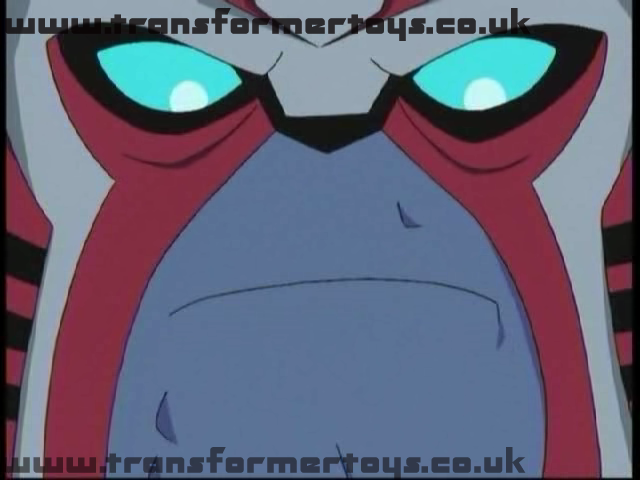 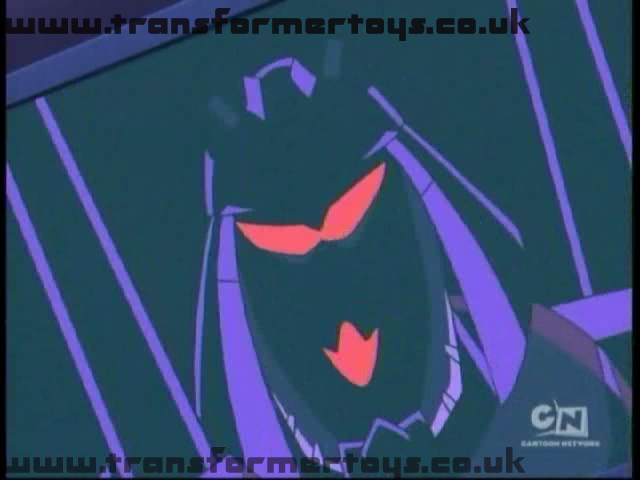 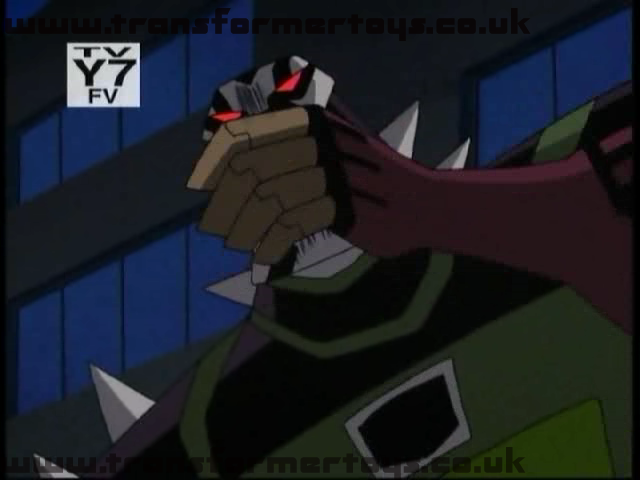 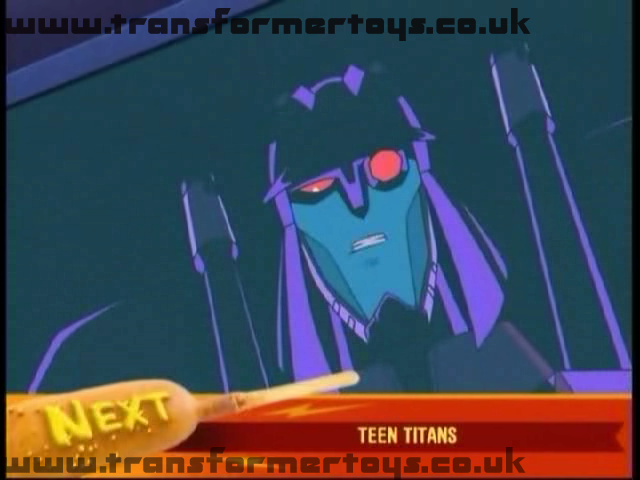 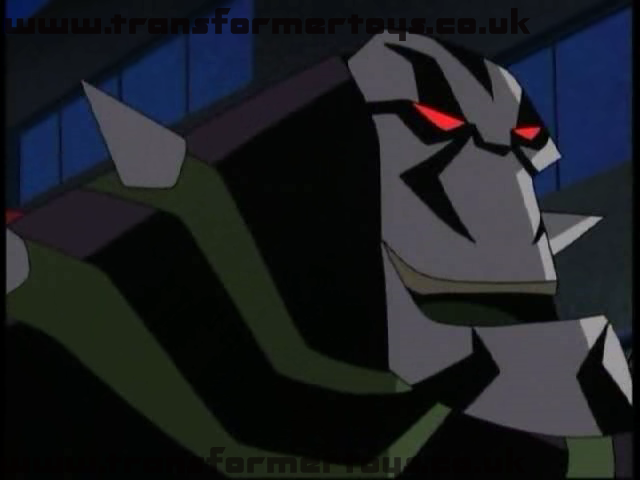 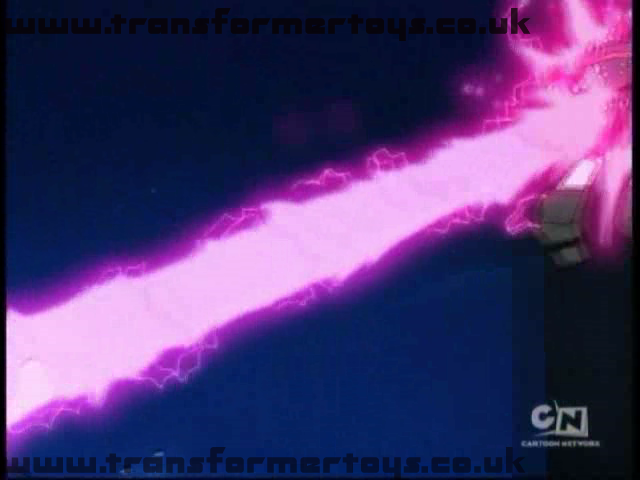 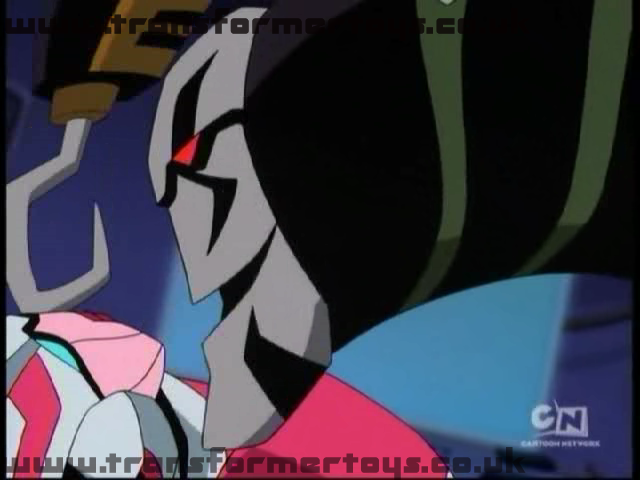 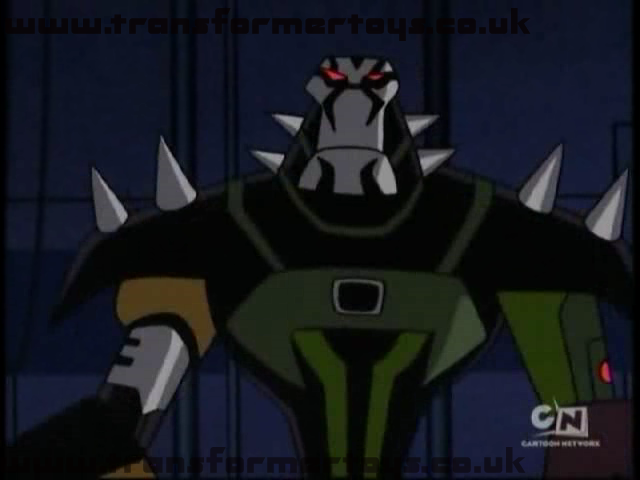 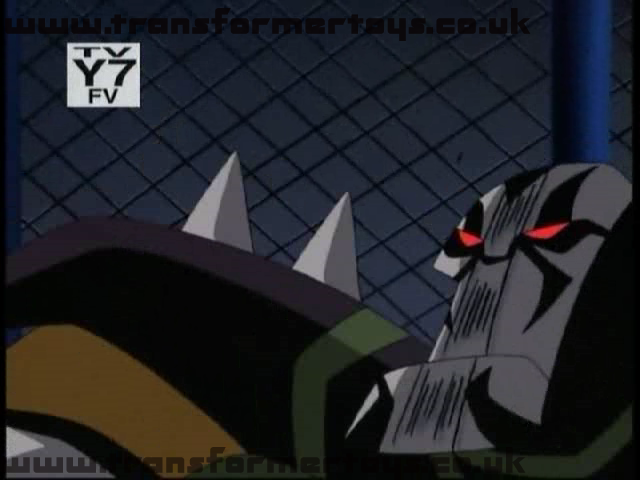 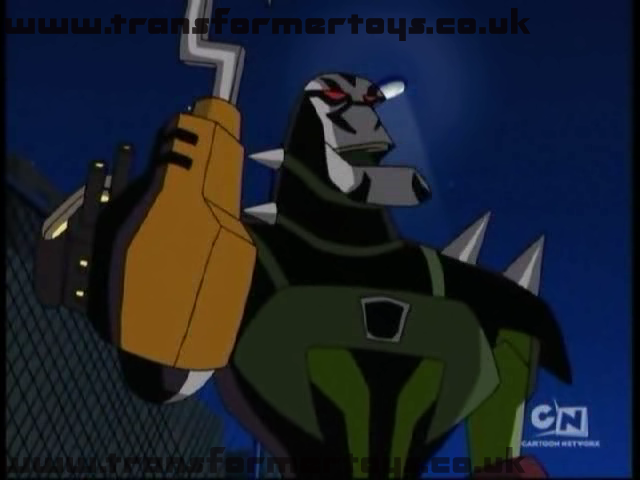 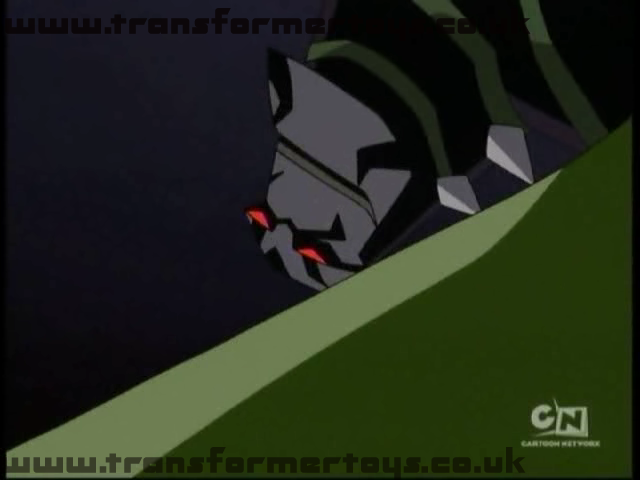 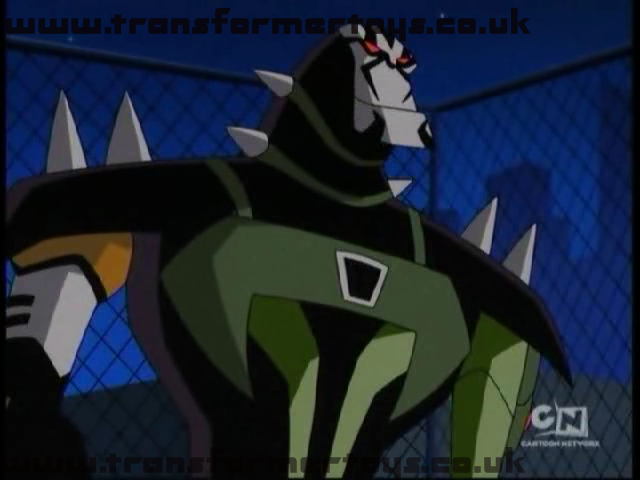 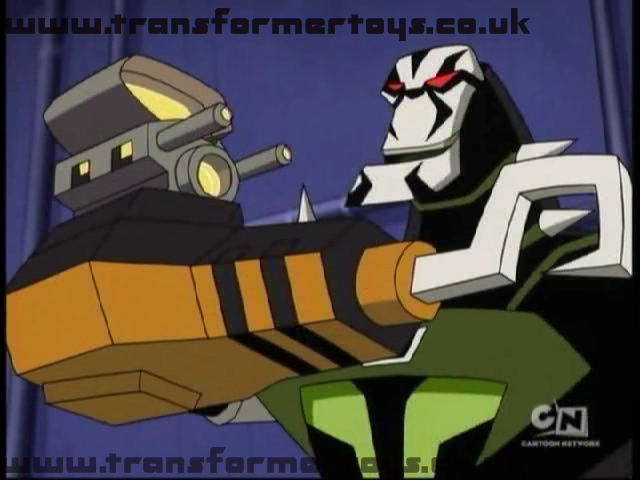 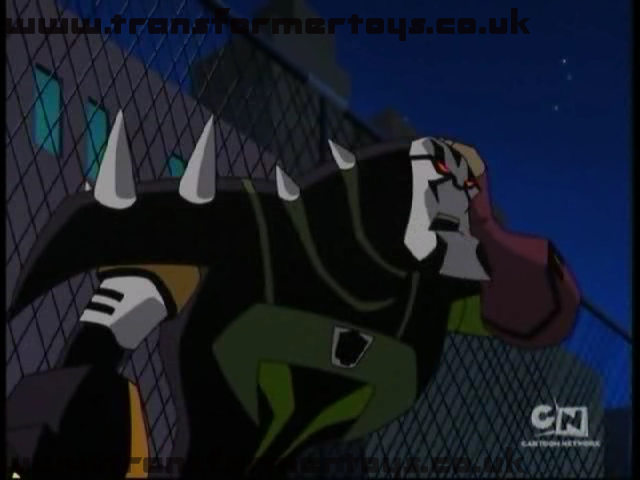 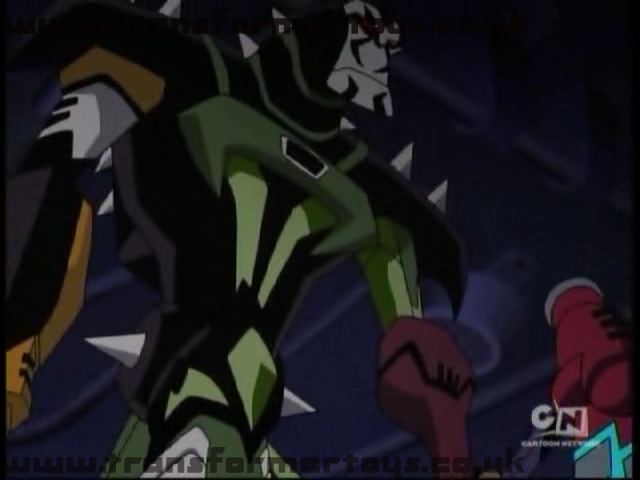 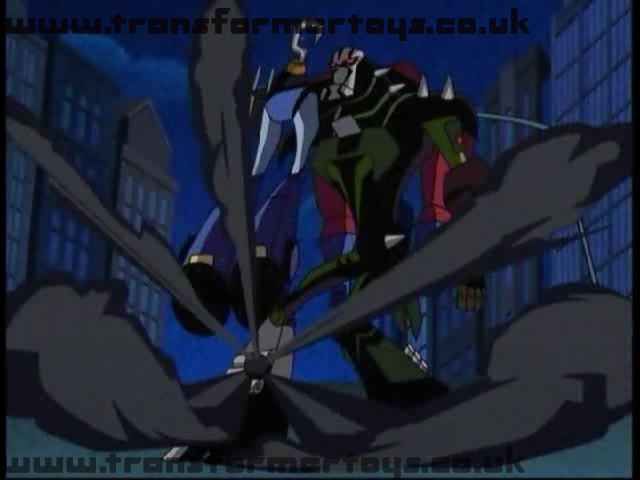 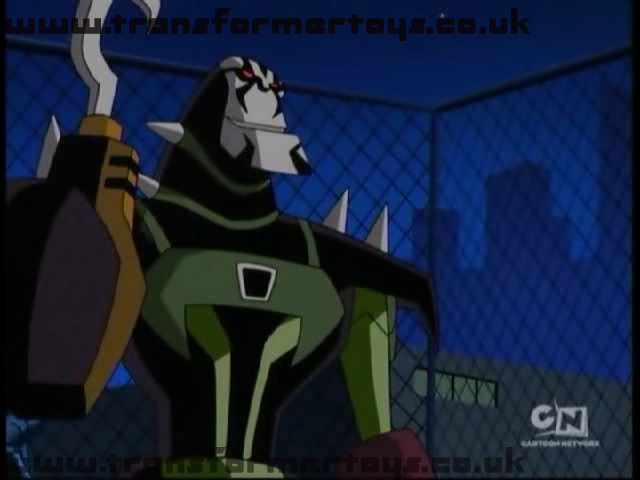 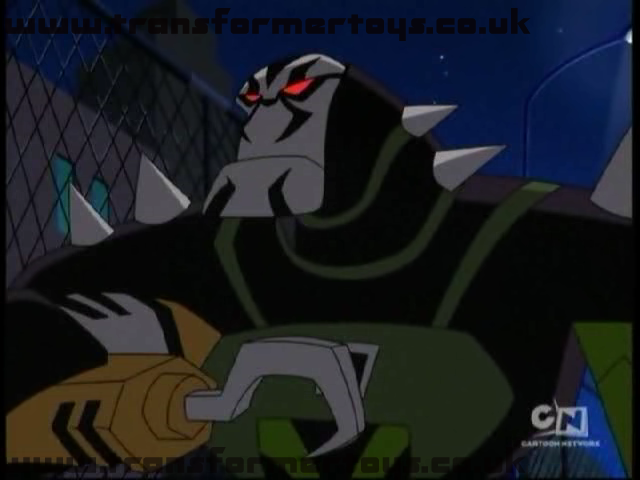 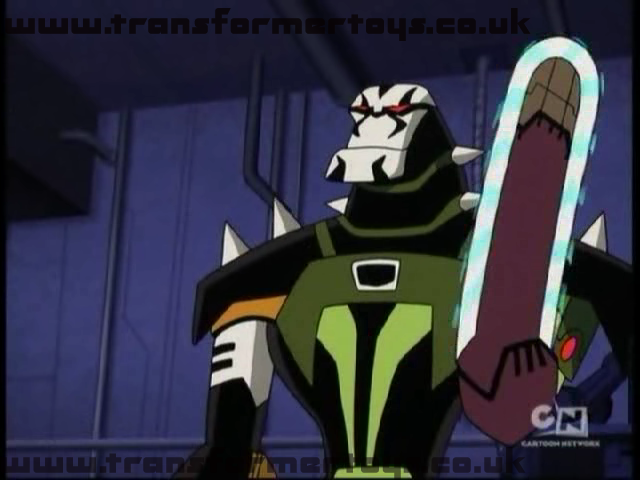 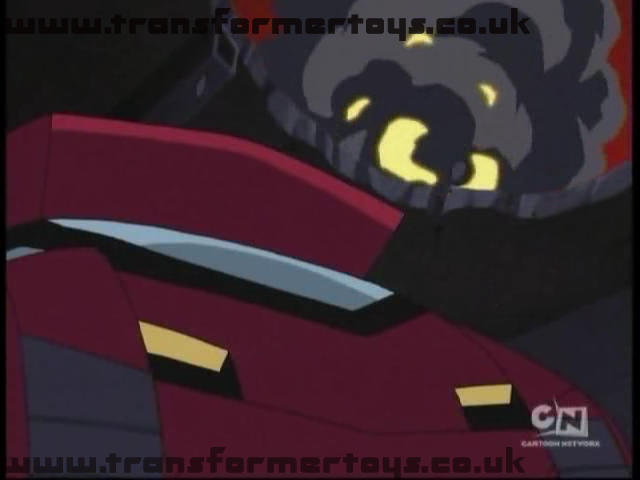 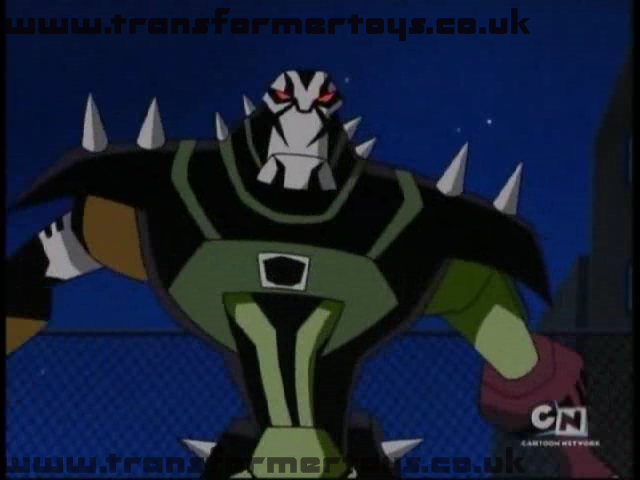 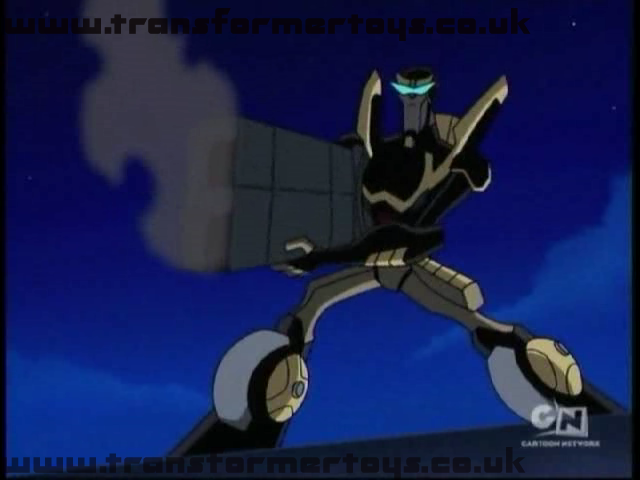 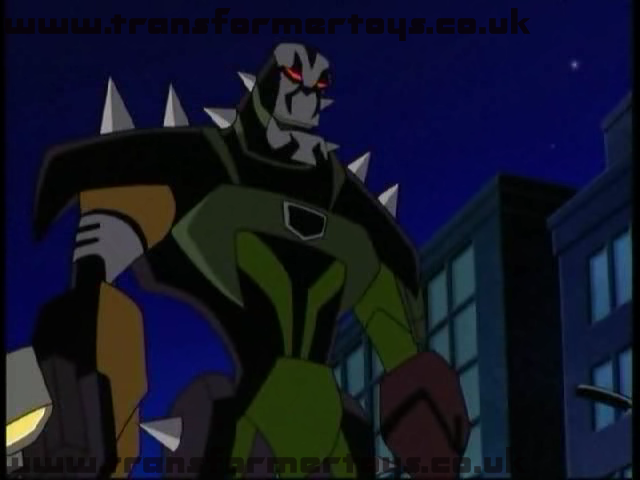 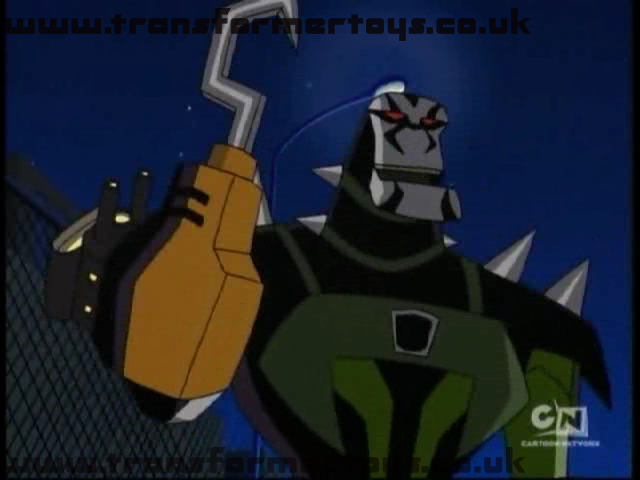 Lockdown explains why he is was chasing Arcee and that he takes the powers and enhancements of his prey. 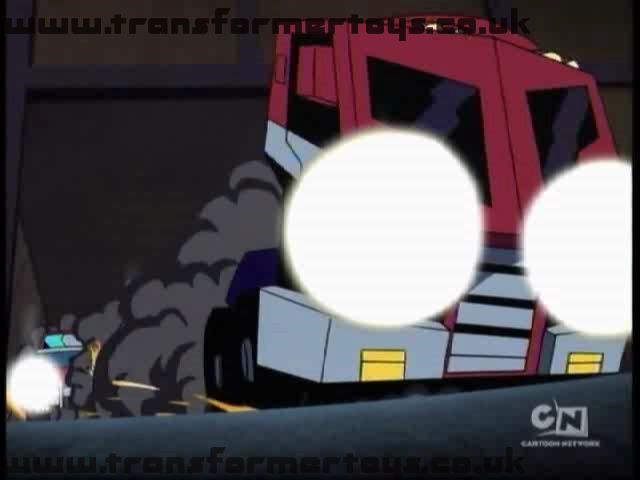 After the flash back Optimus Prime catches up with the muscle car, which then transforms reveiling himself to the other Autobots. 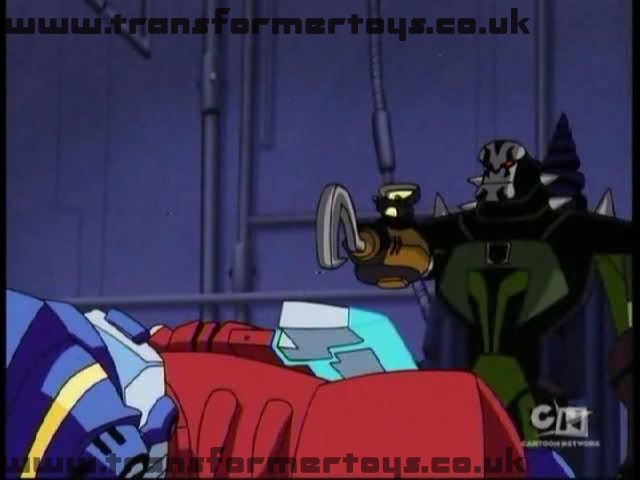 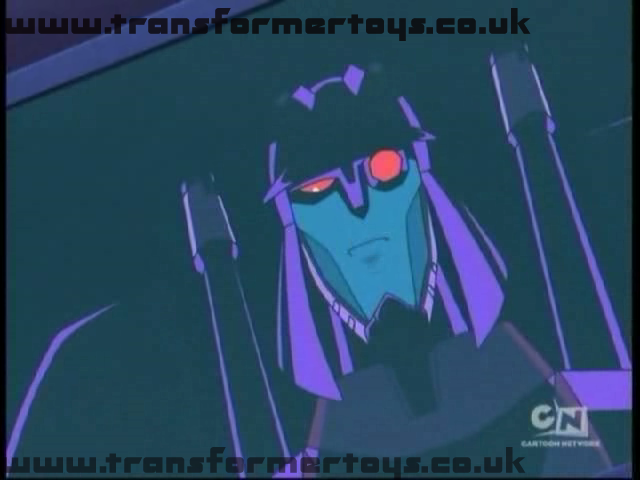 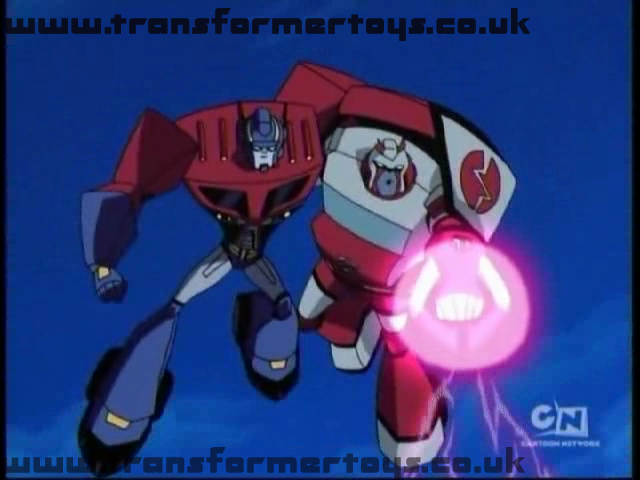 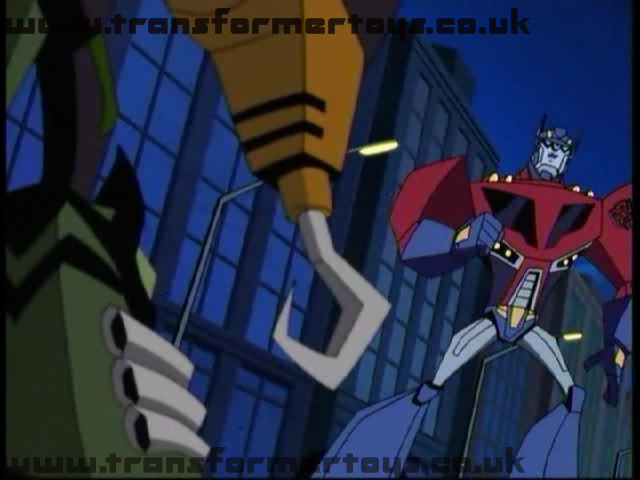 Lockdown captures Optimus Prime and contacts Blitzwing, who has paid for his services to capture the Autobot leader, whom the Decepticons belive killed Megatron. 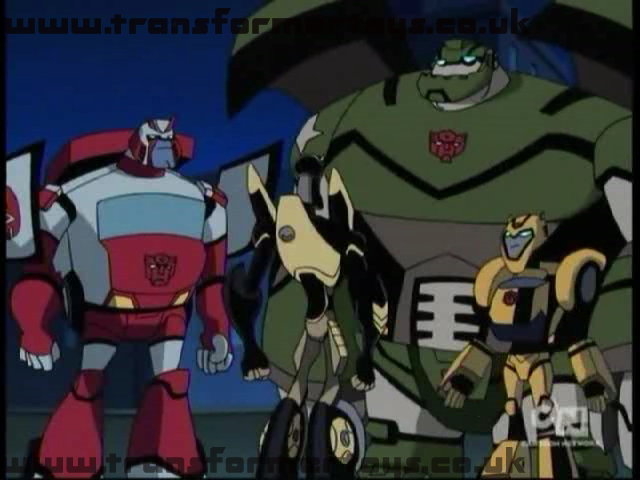 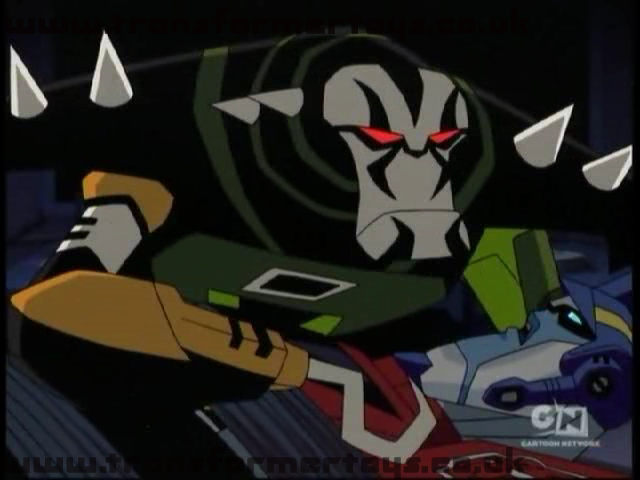 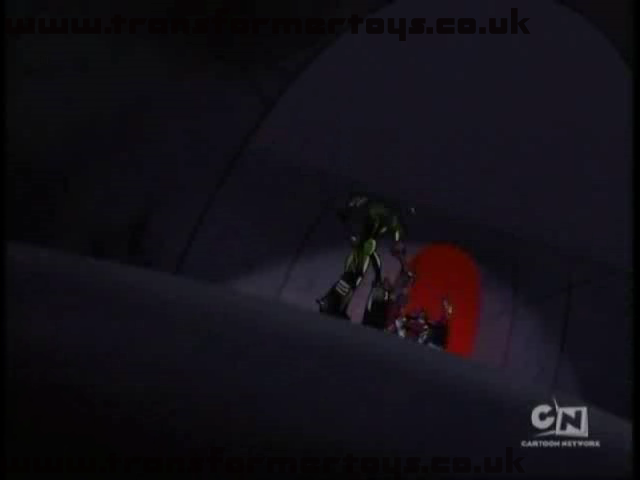 Meanwhile Prowl, Bumblebee and Bulkhead try to break into Lockdown's spaceship to free Optimus. 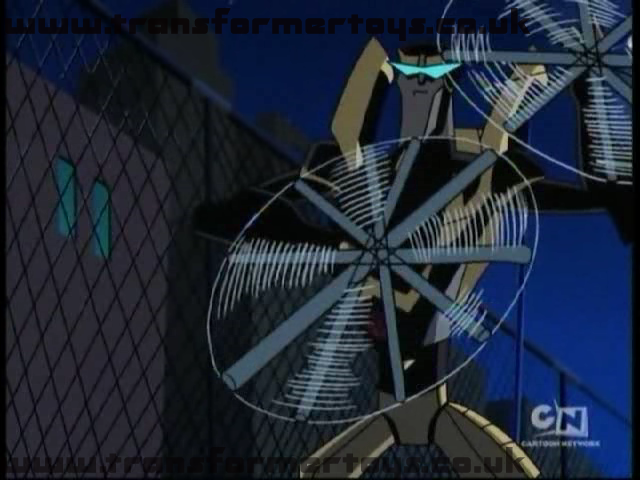 The three Autobots are quickly defeated by Lockdown, with only Prowl offering some sort of threat to the larger bounty hunter. 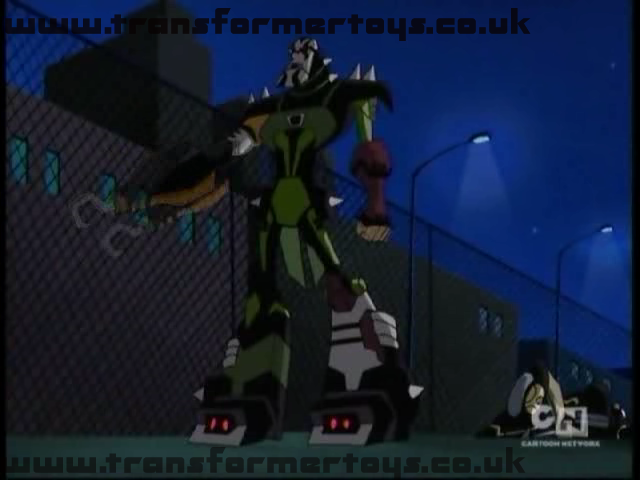 Just as Lockdown is about to finish off Prowl Ratchet turns up. 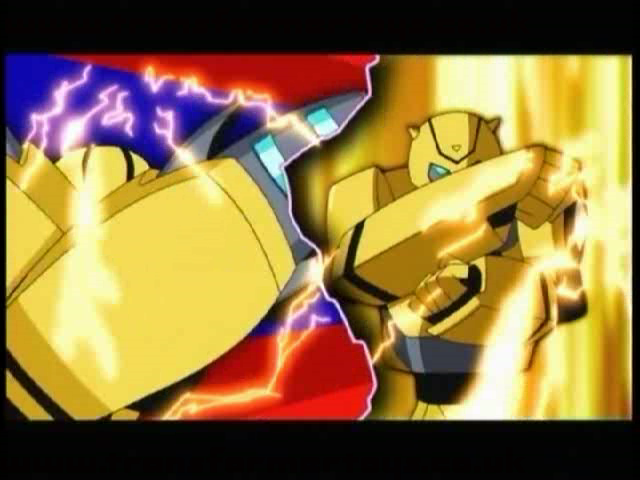 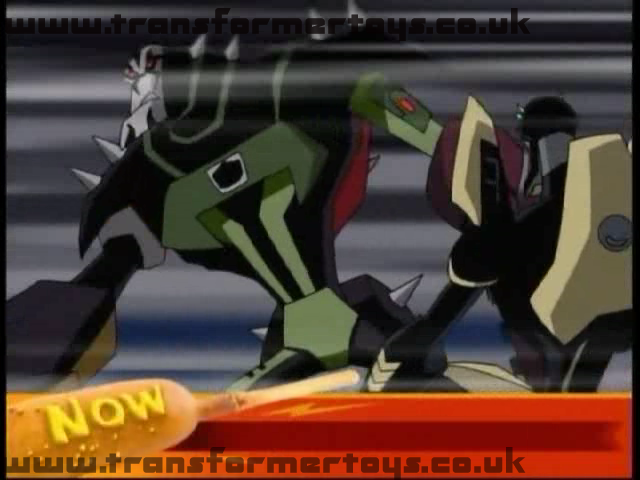 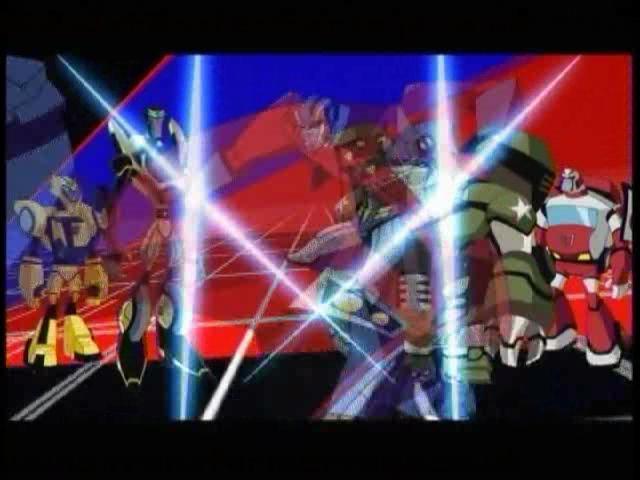 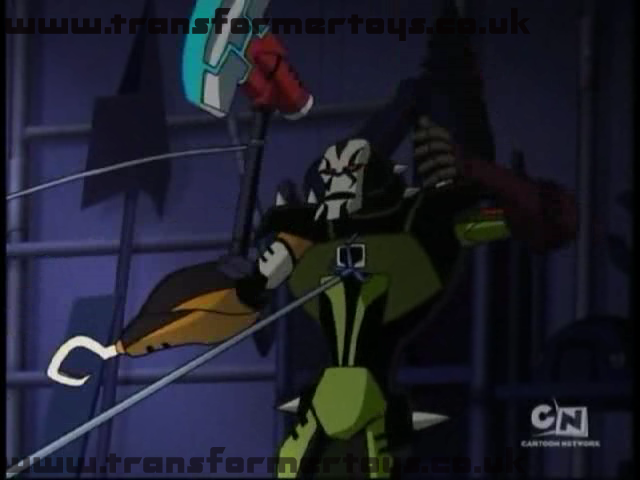 The two fight, with Ratchet defeating Lockdown. 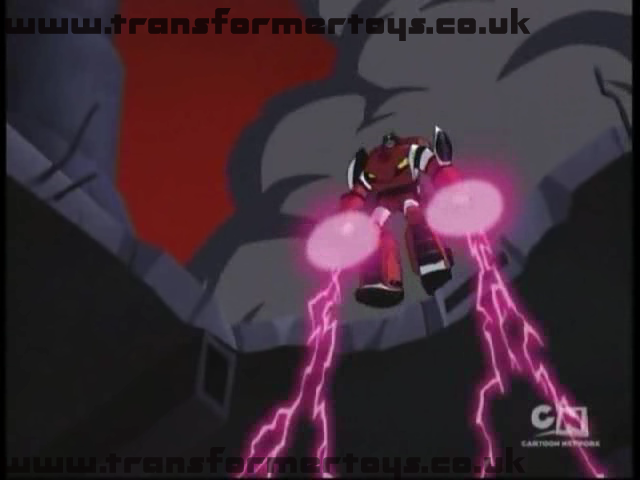 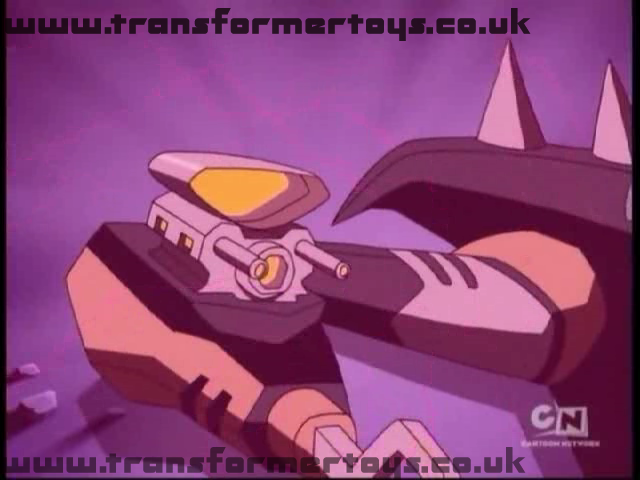 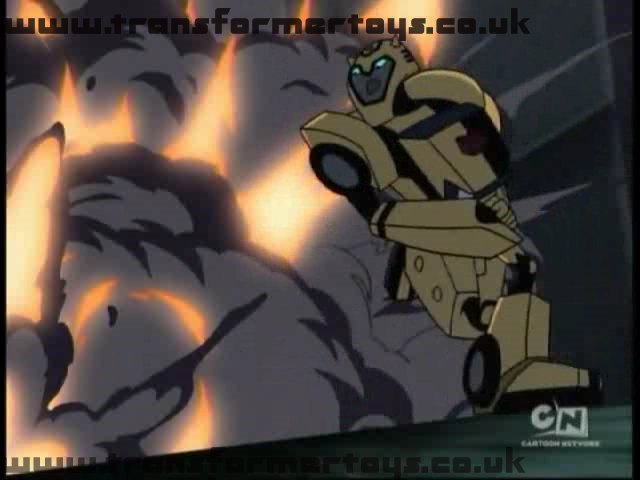 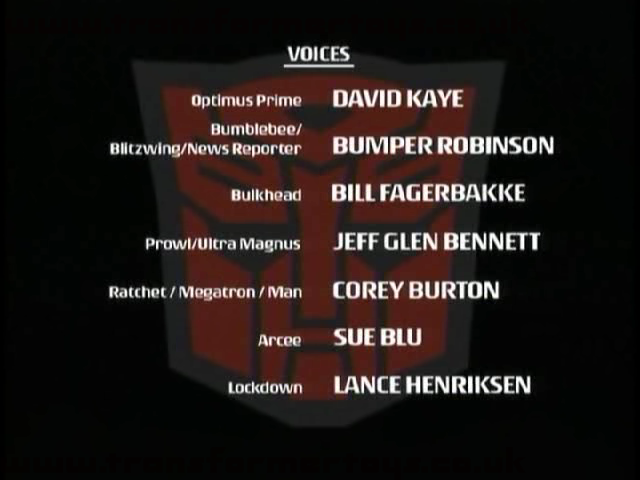 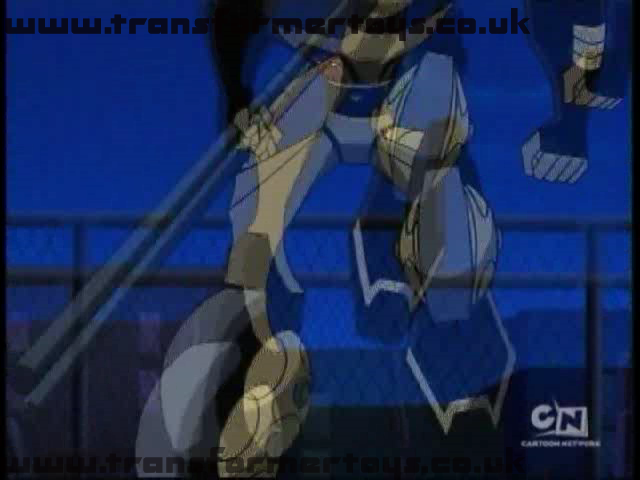 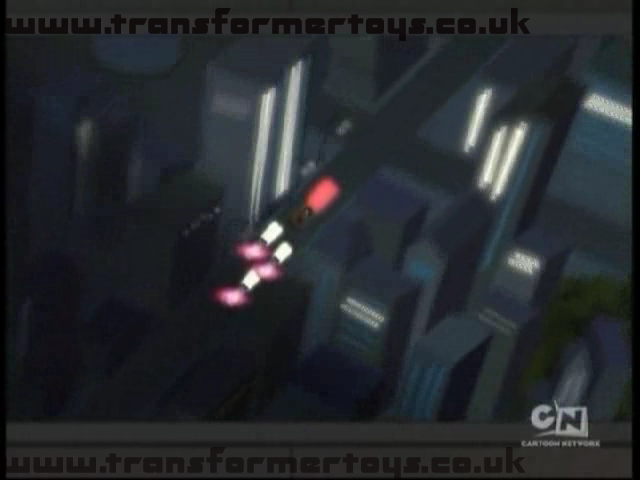 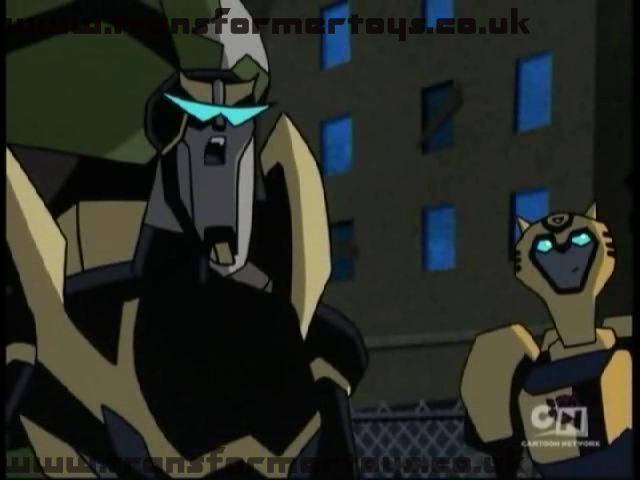 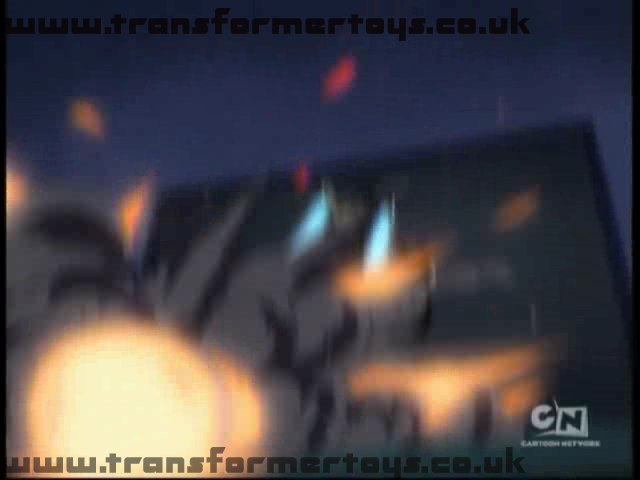 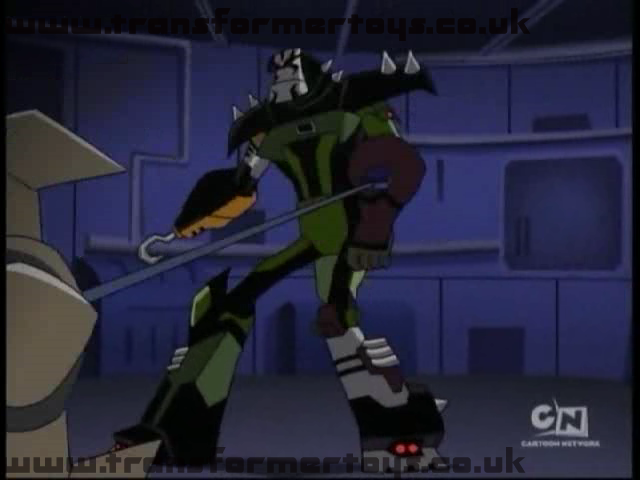 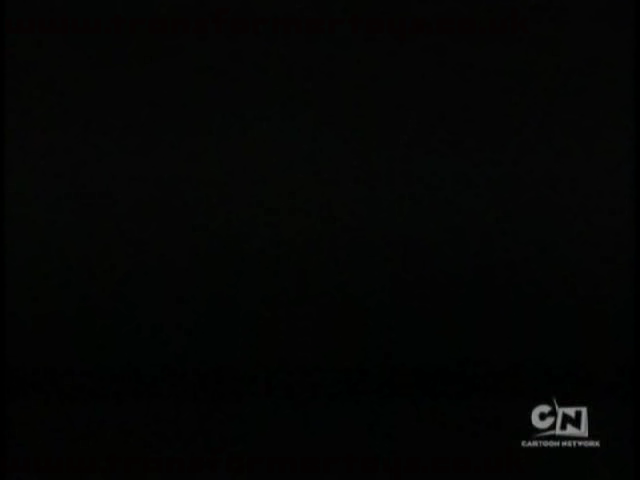 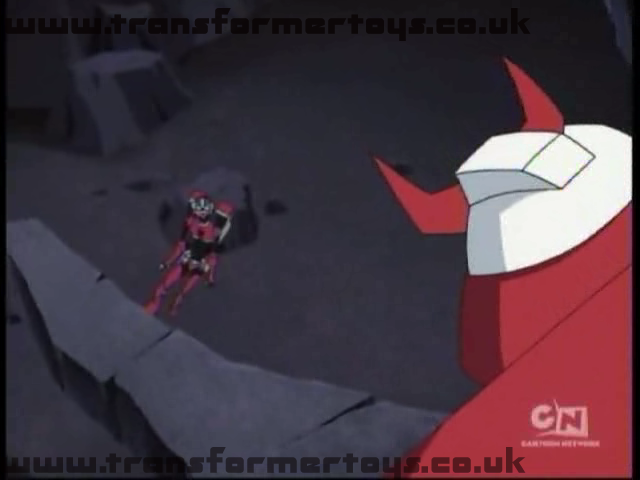 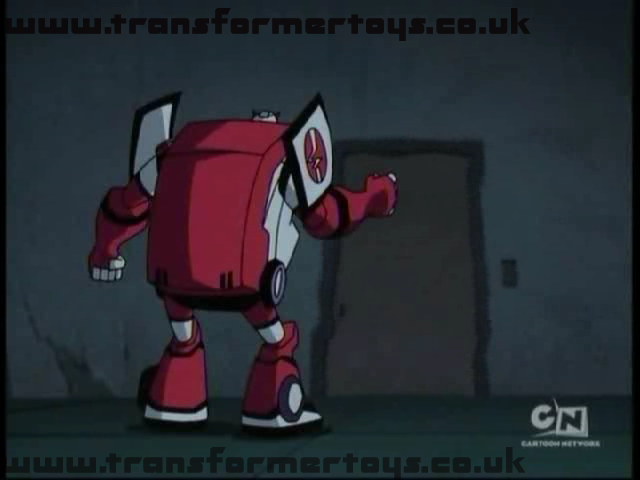 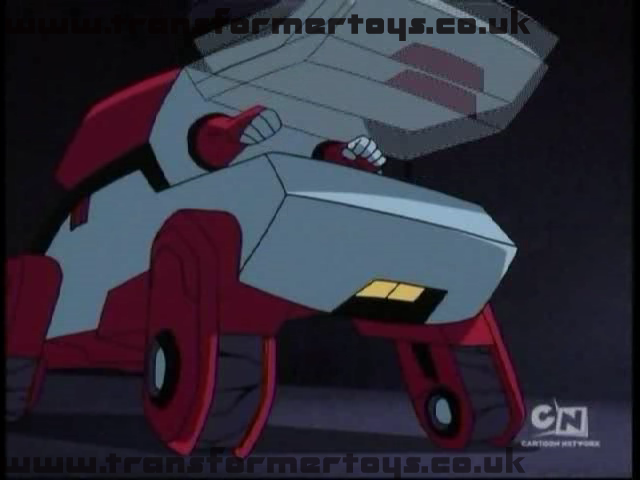 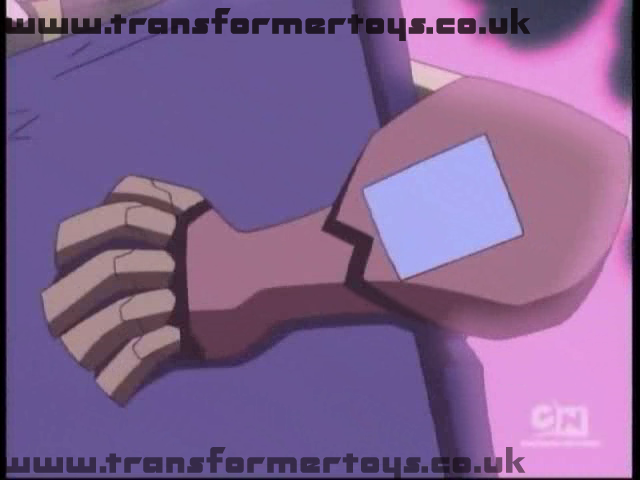 This then results to the final flashback from Ratchet, showing how he and Arcee escape. 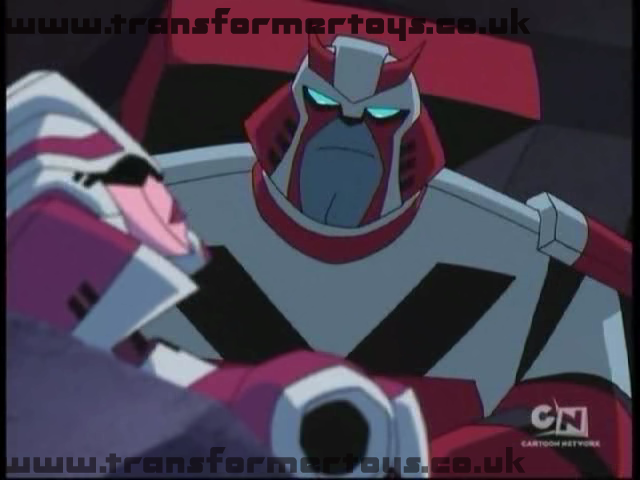 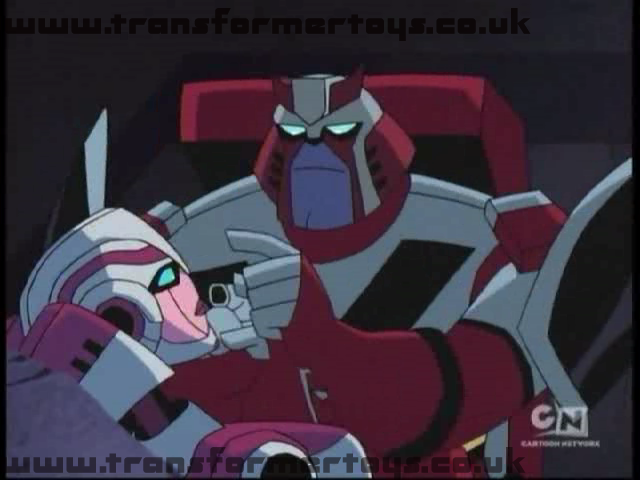 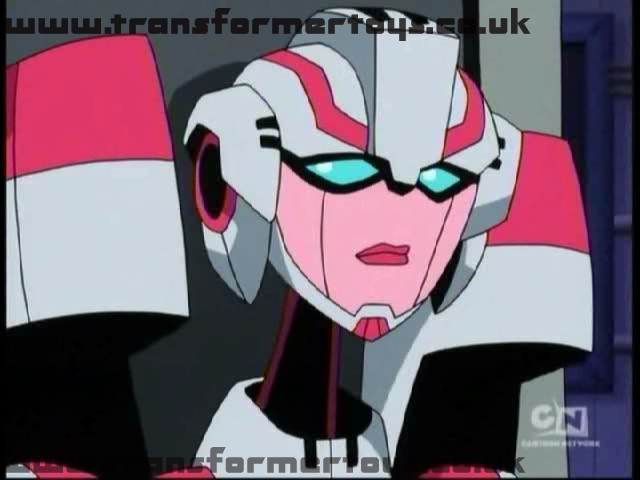 Unfortunatley Arcee's memory is wiped during the process, and it's explained that this is one of the reasons why Ratchet does not want to talk about his past. 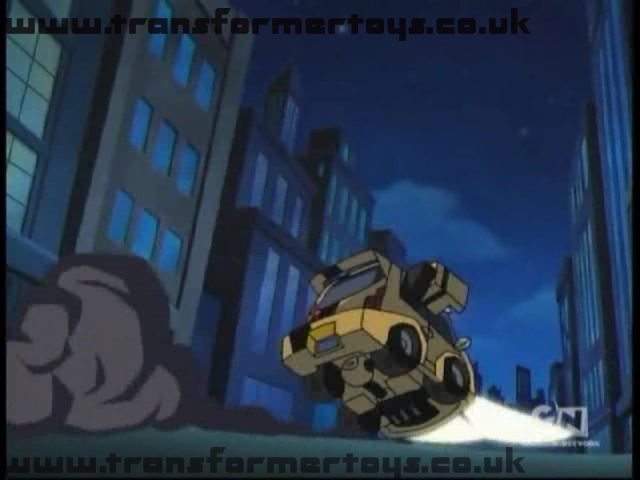 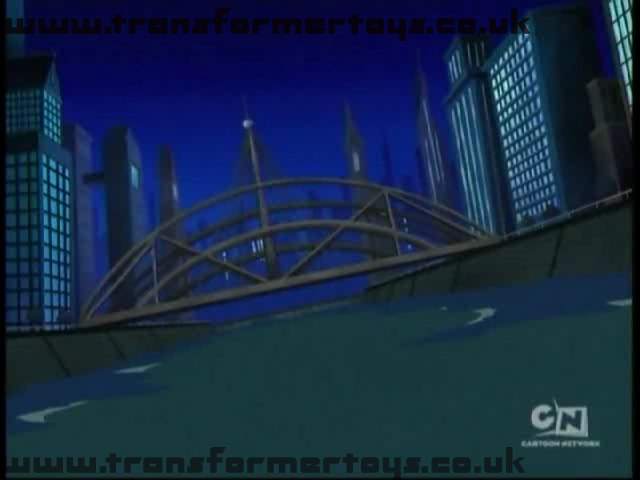 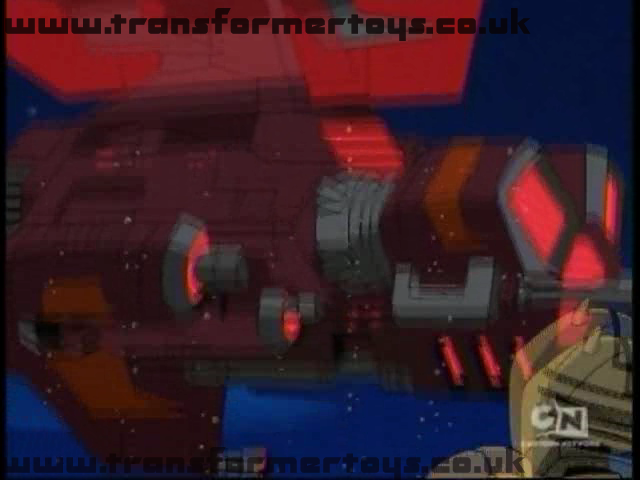 Back in present day Ratchet free's Optimus, forcing Lockdown's ship to crash into a river, stranding him on Earth. 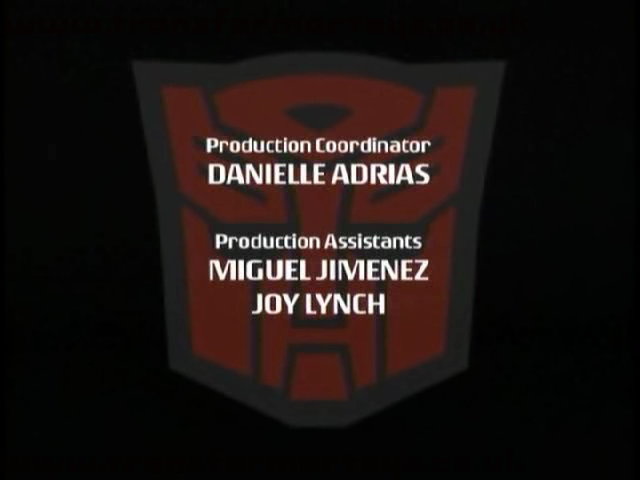 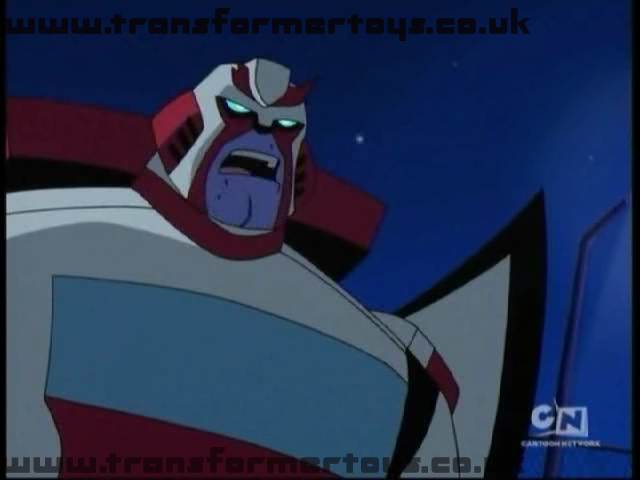 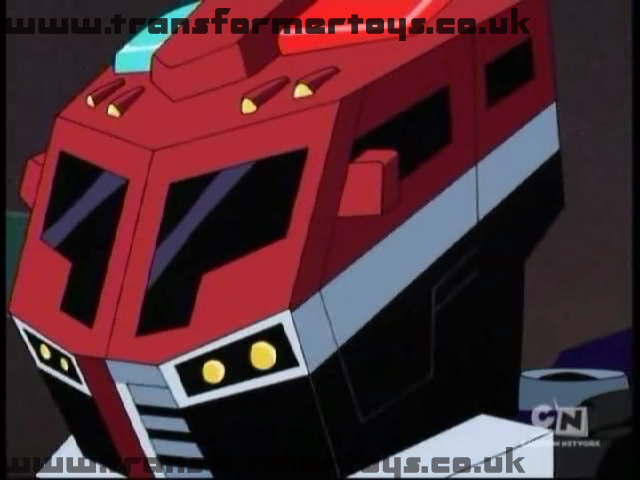 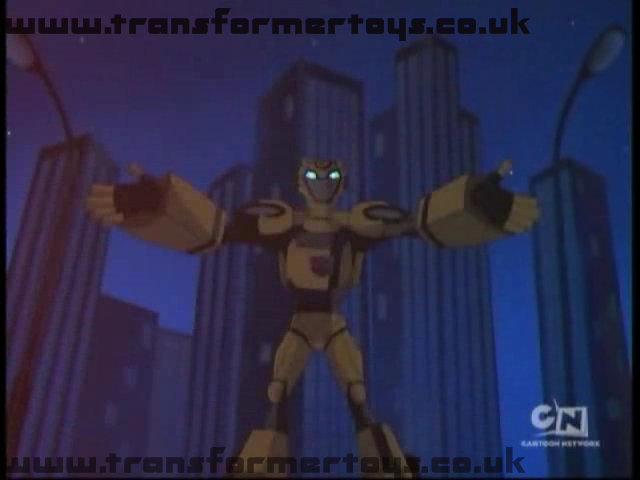 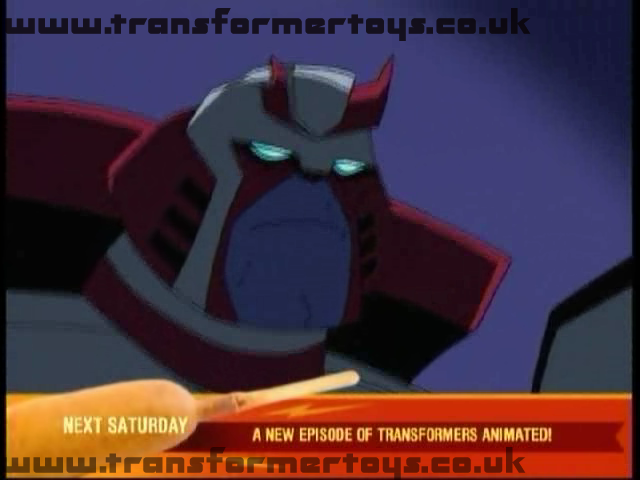 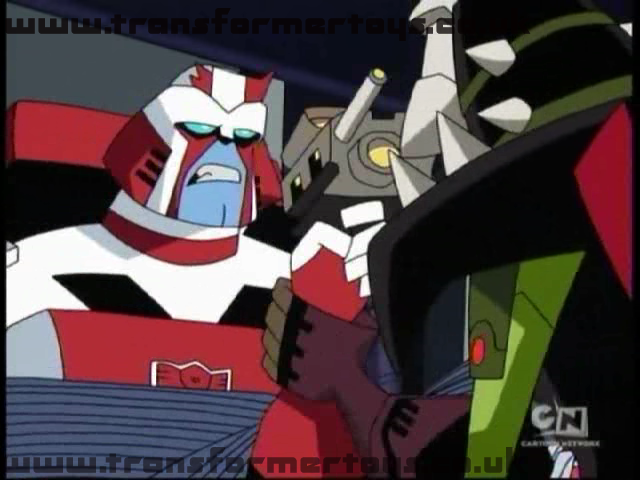 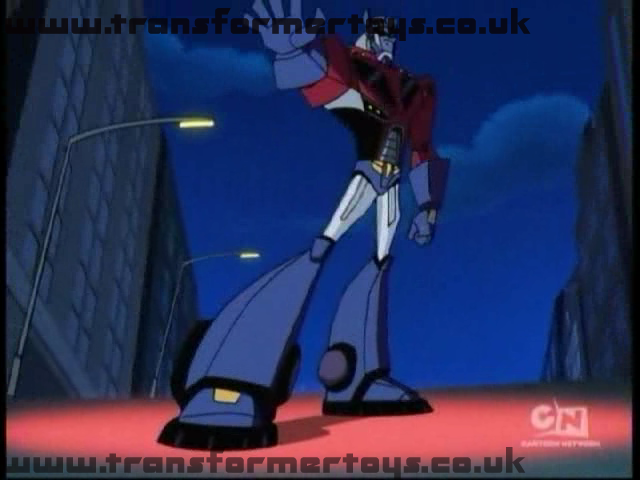 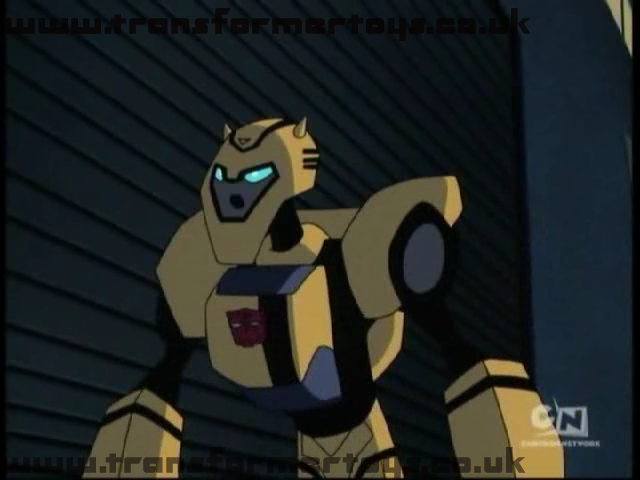 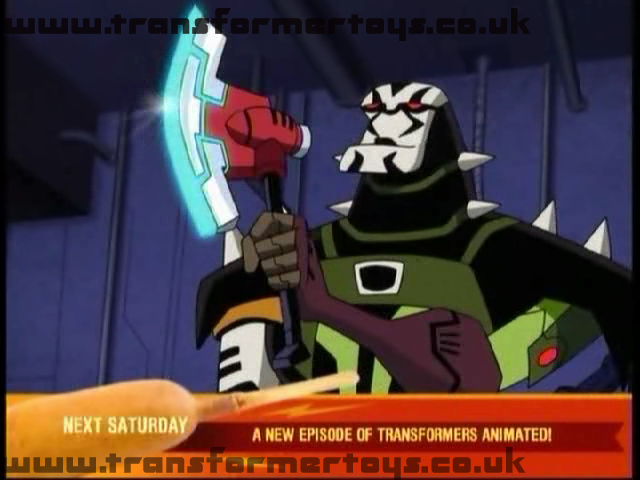 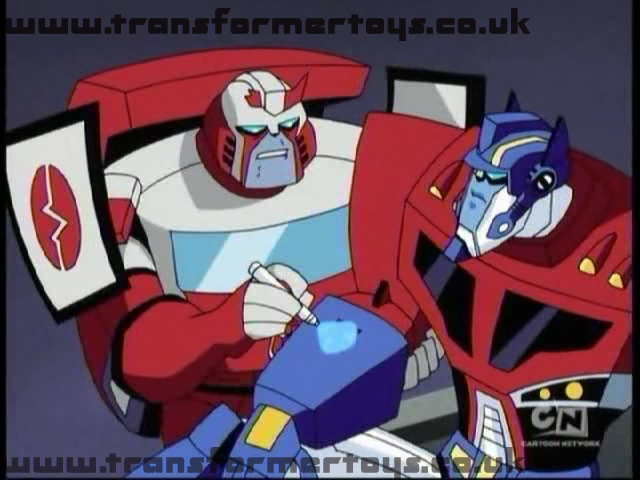 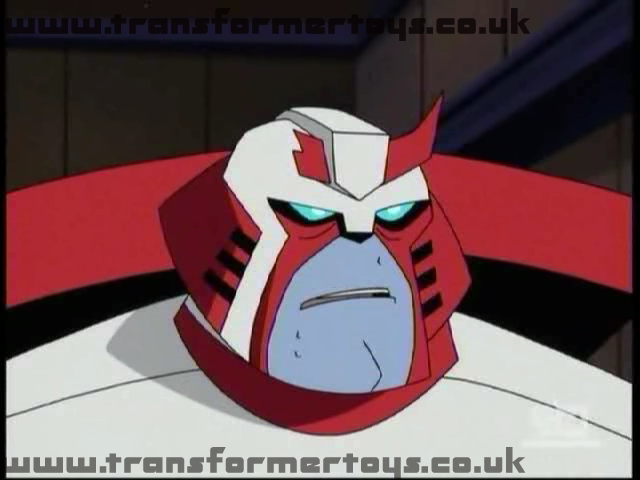 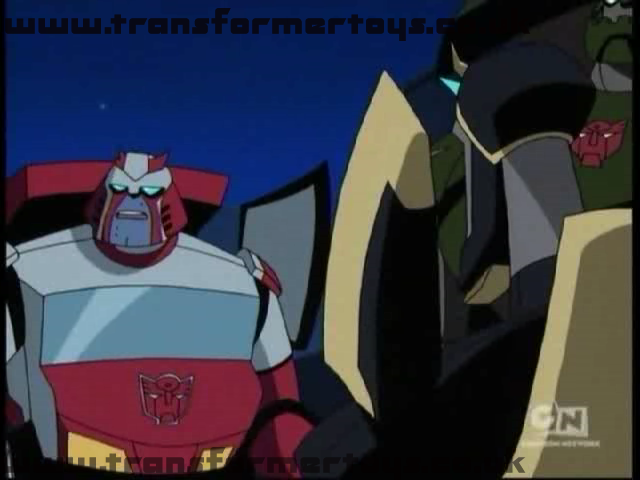 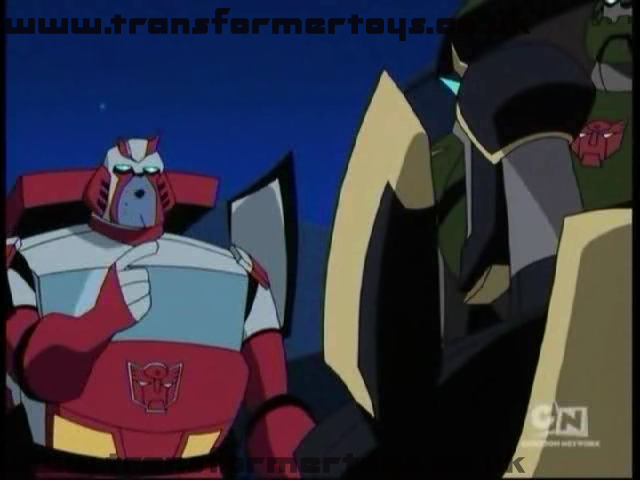 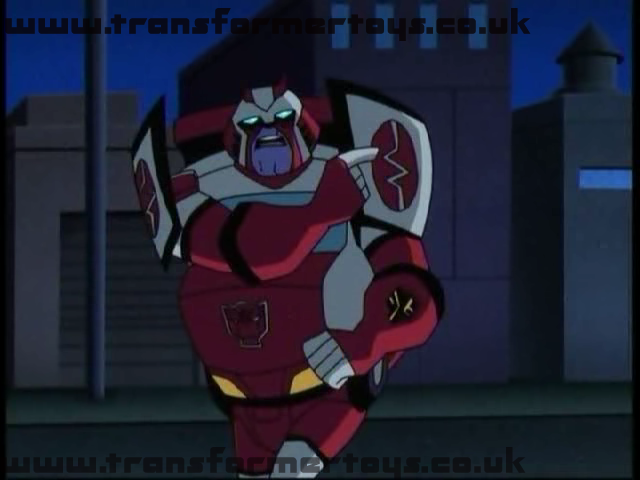 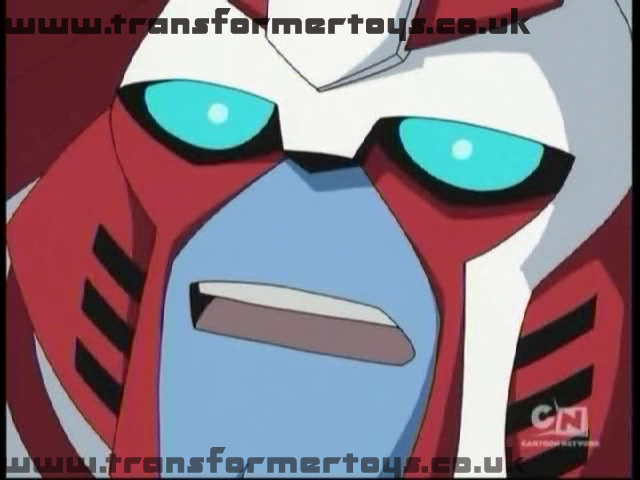 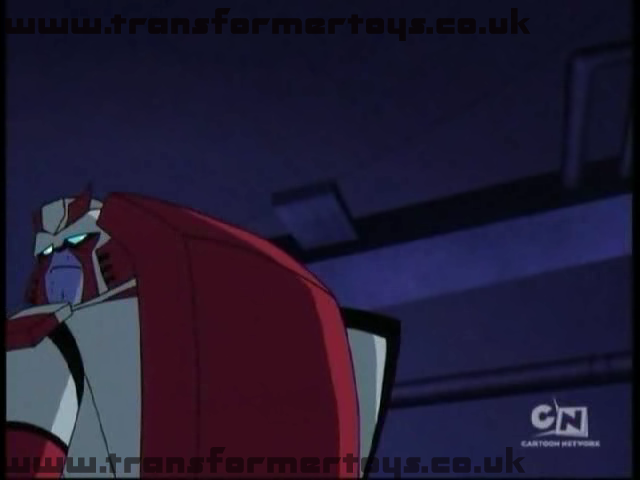 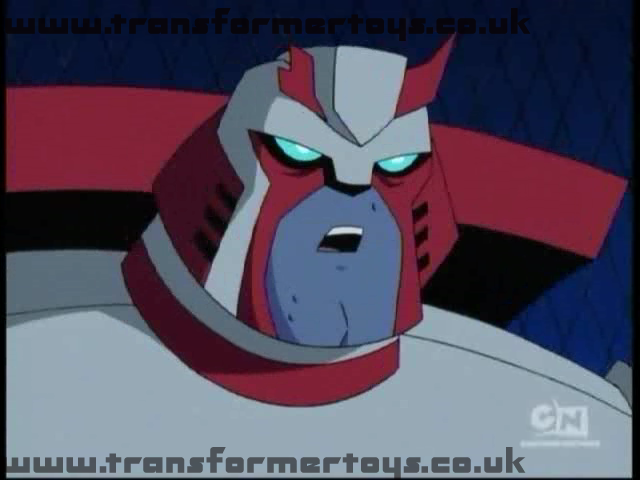 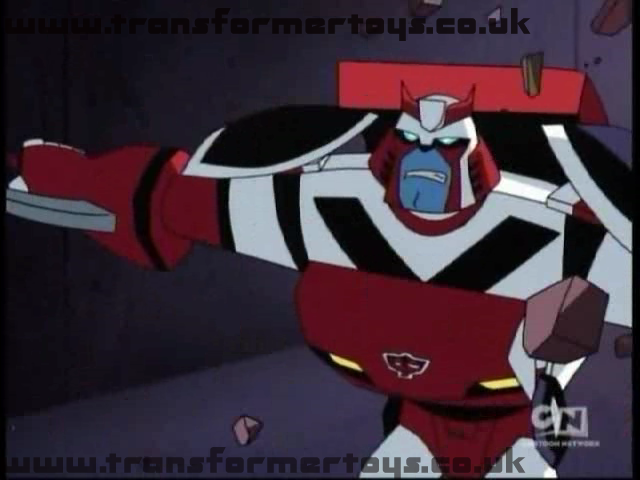 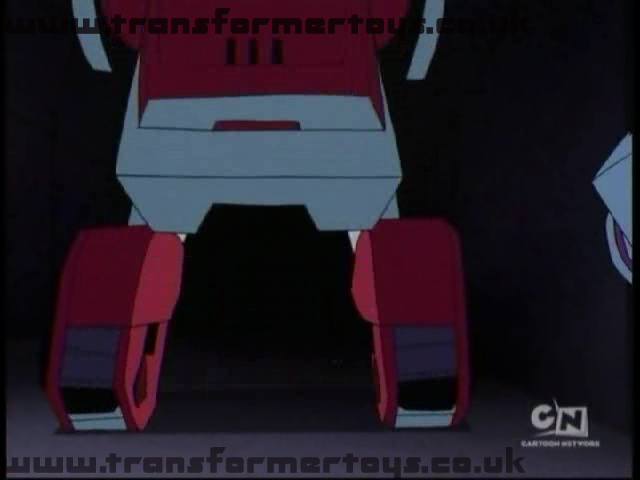 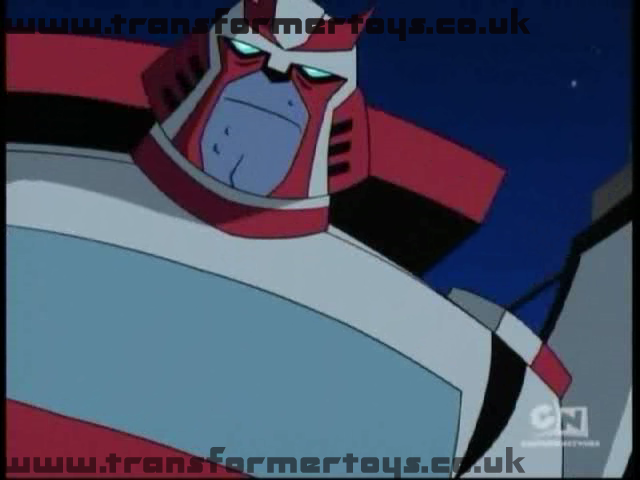 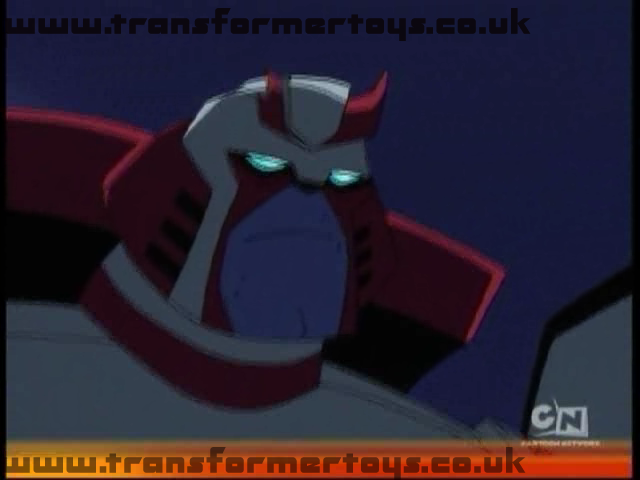 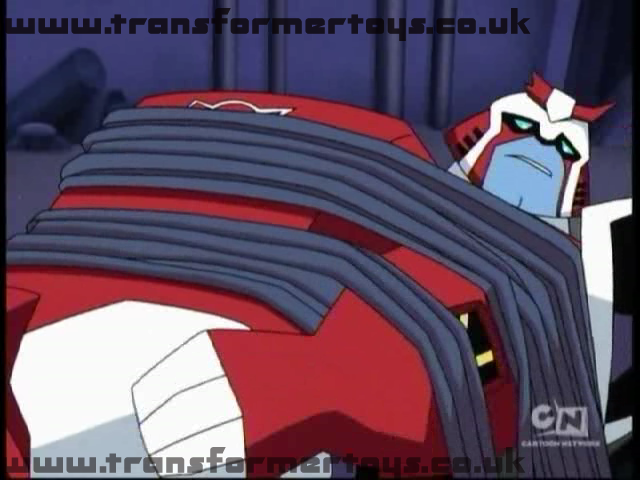 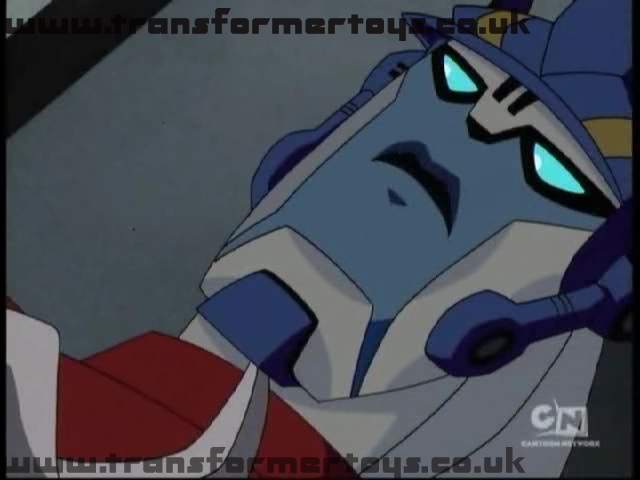 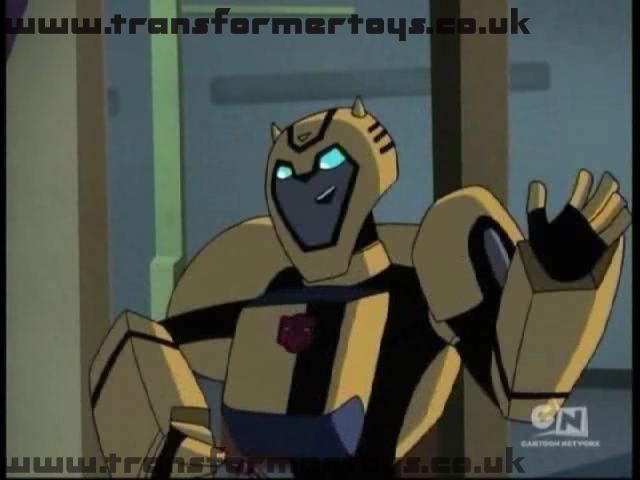 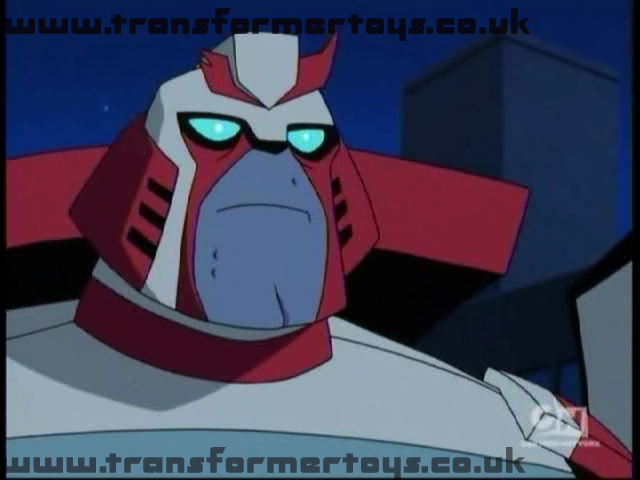 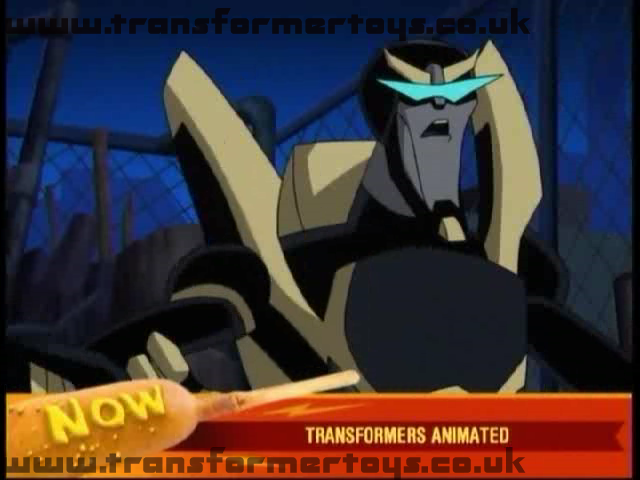 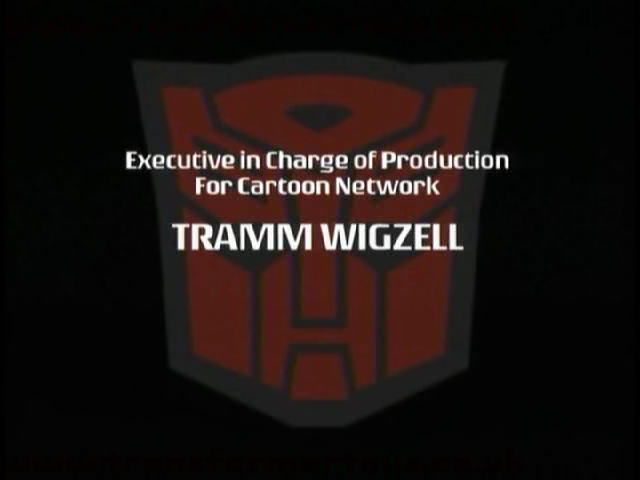 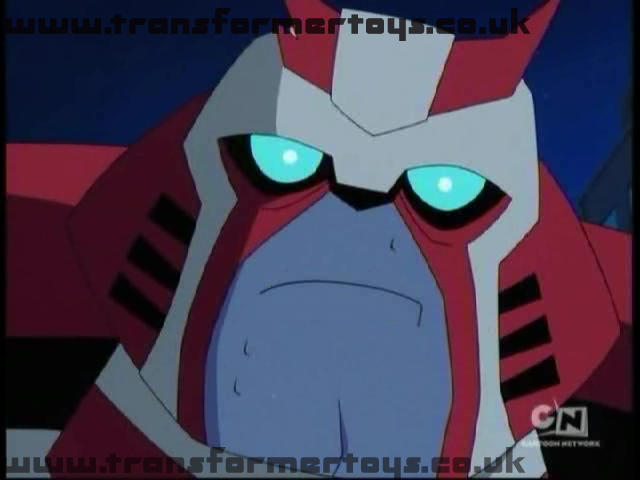 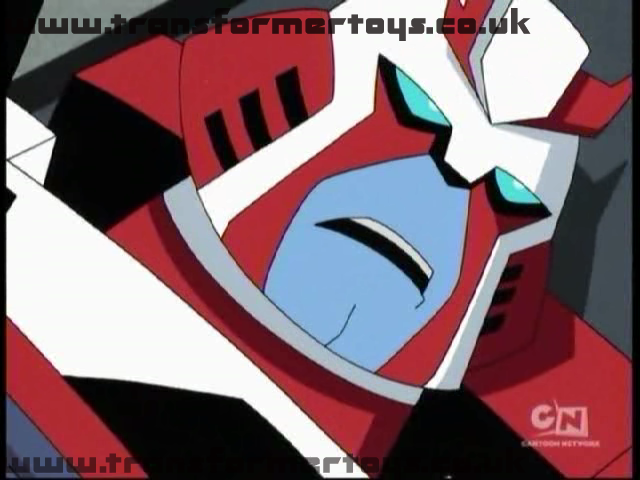 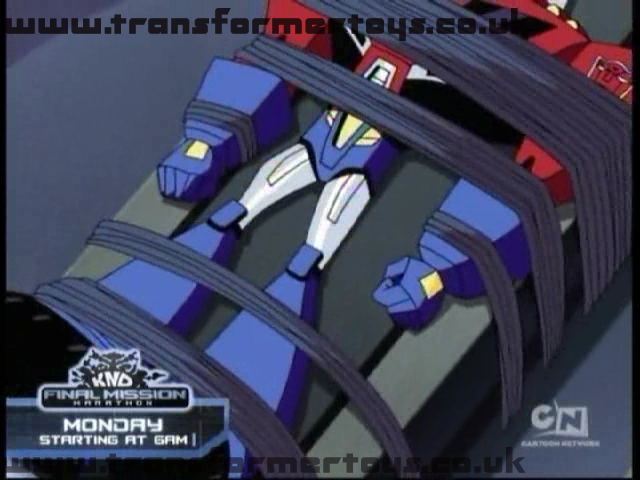 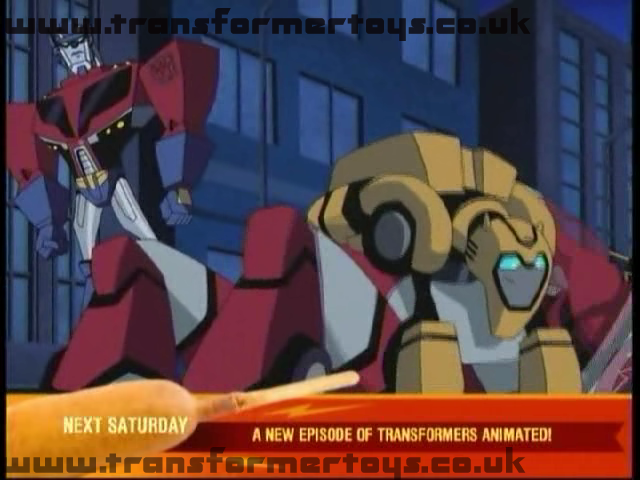 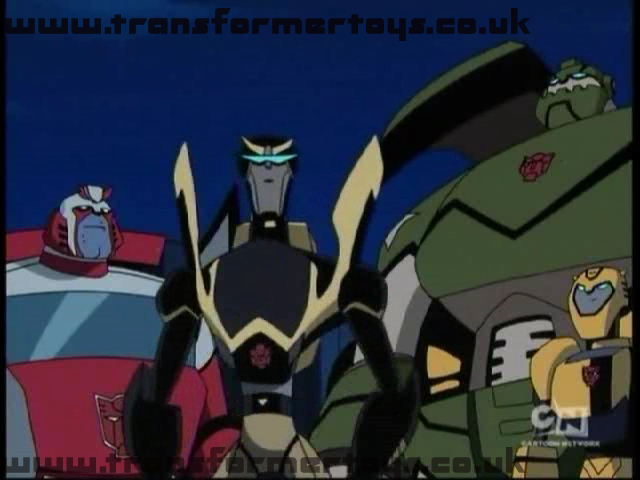 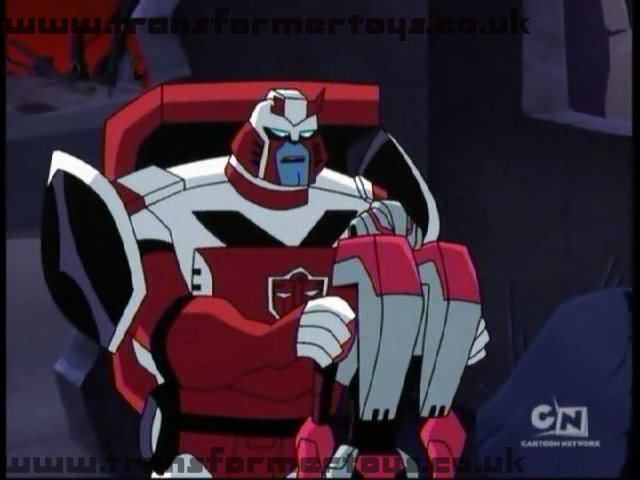 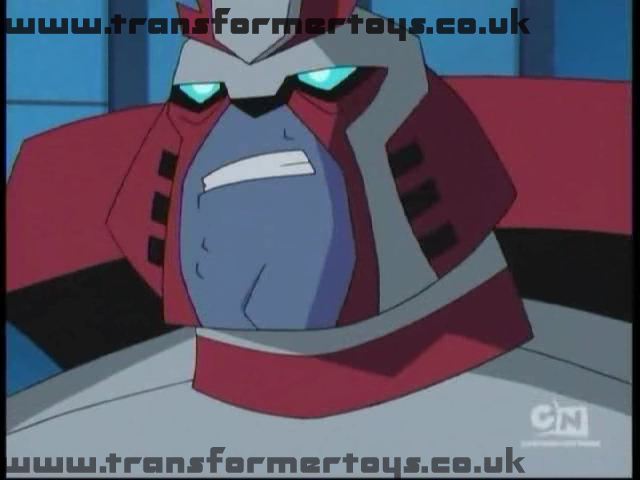 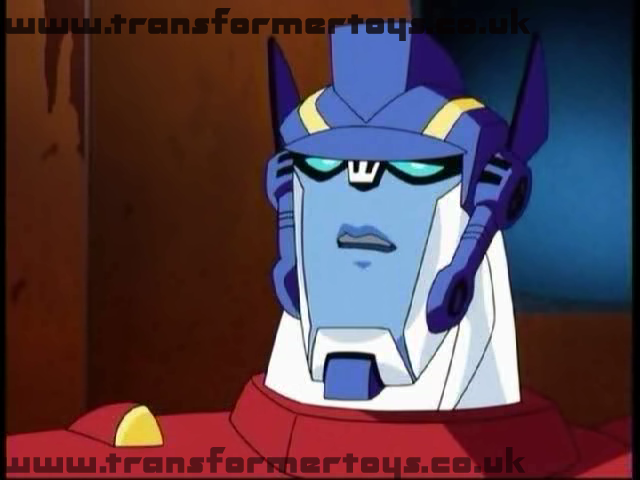 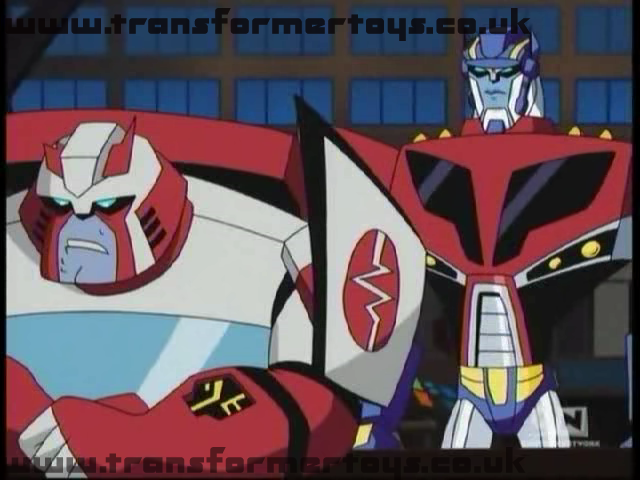 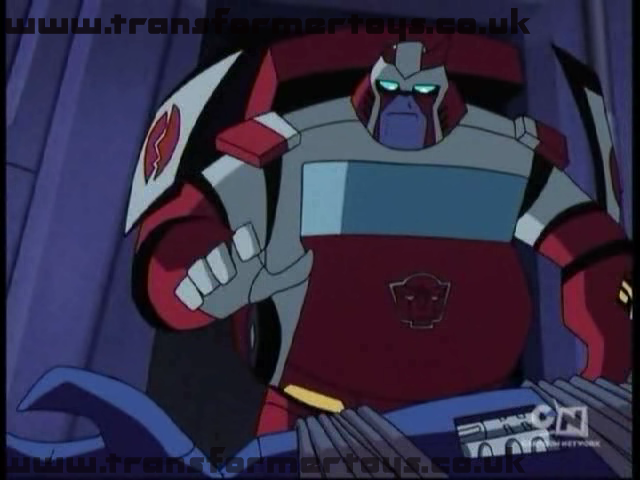 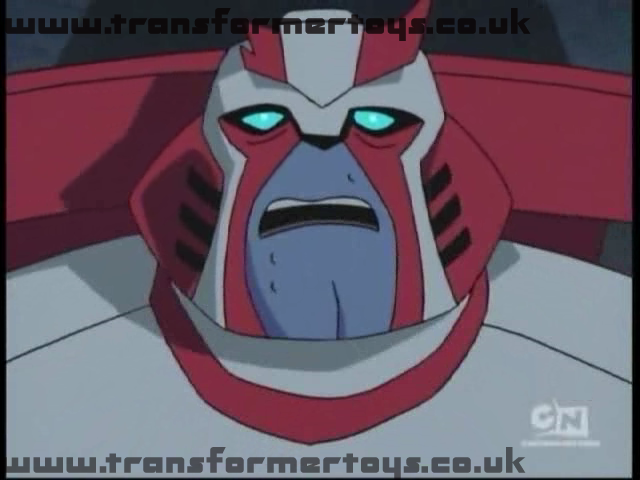 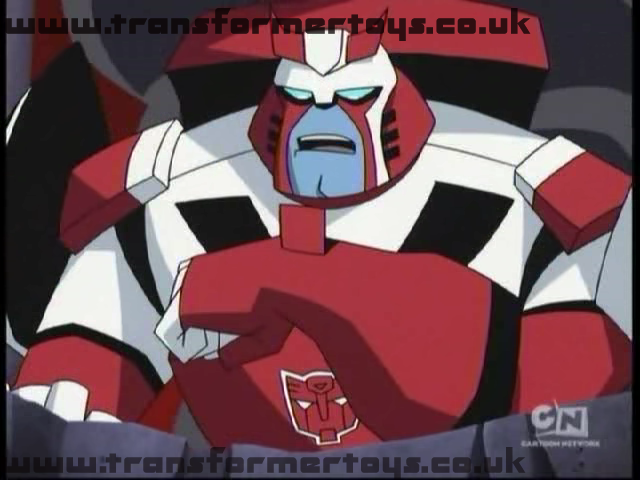 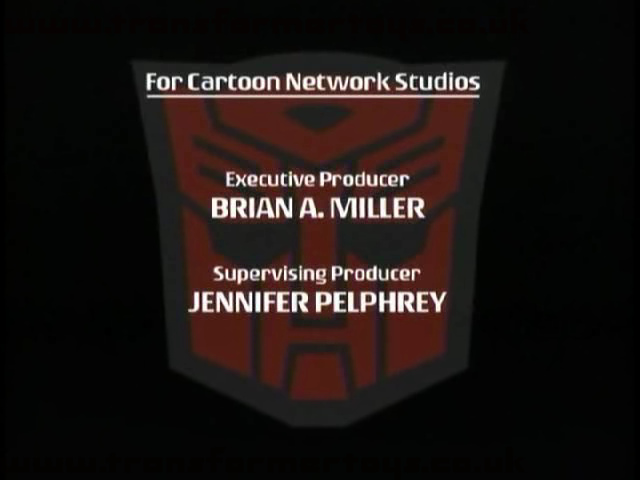 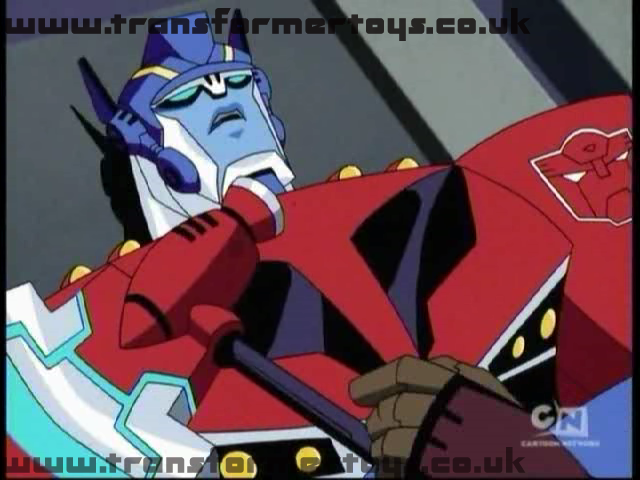 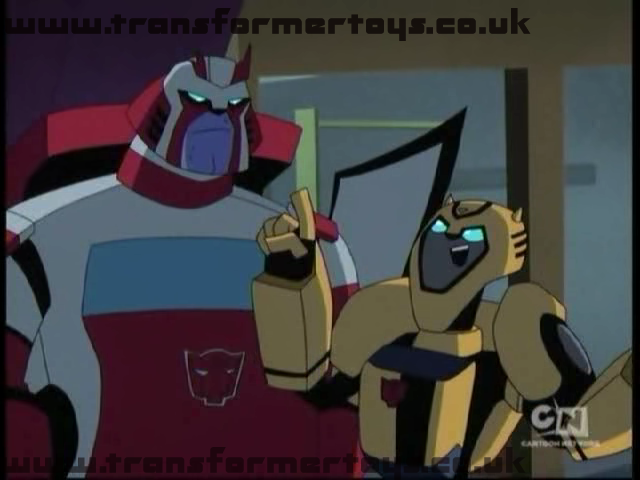 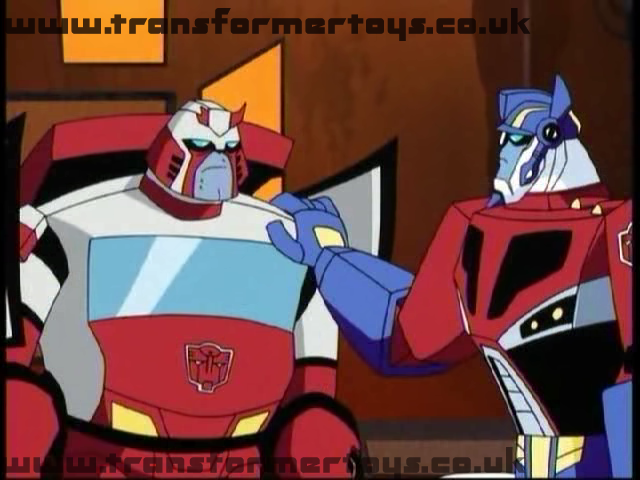 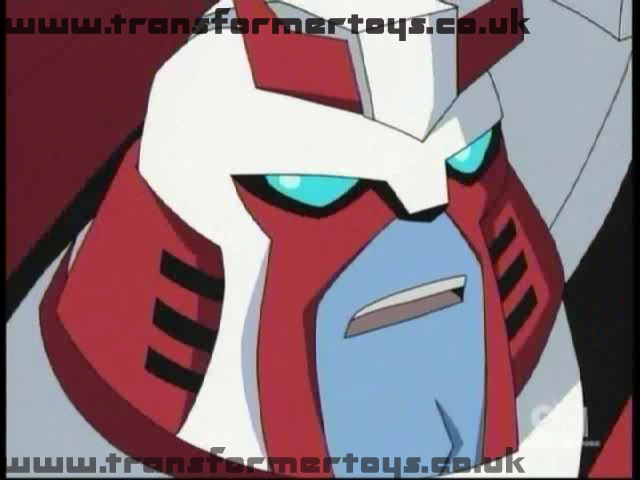 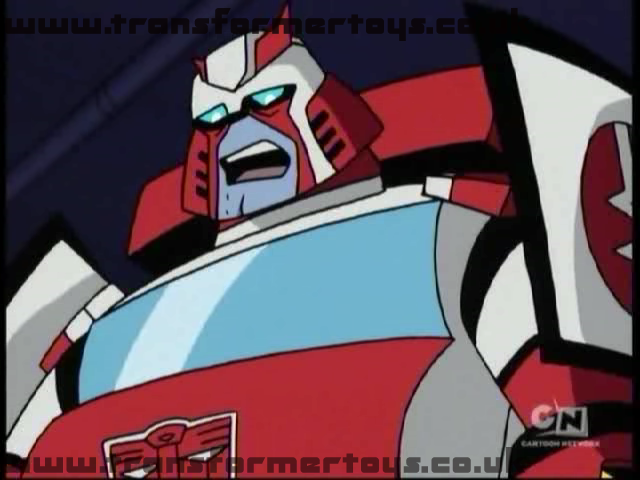 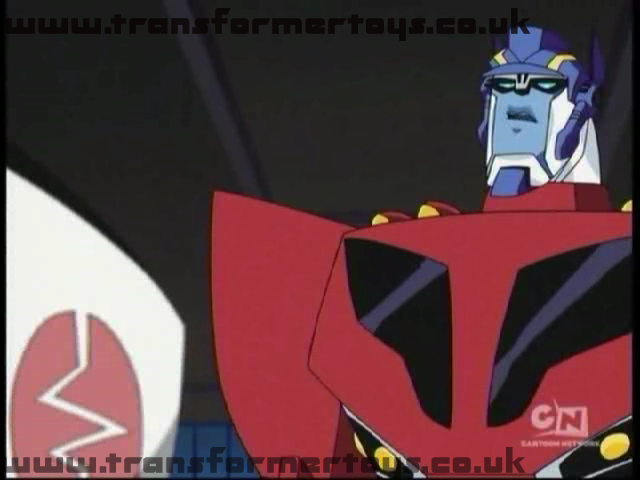 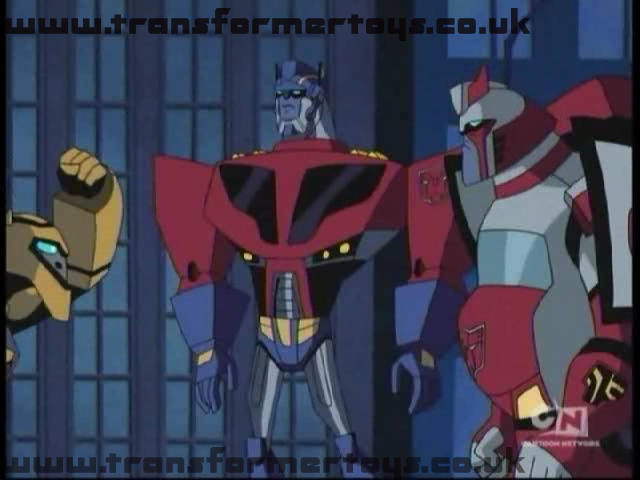 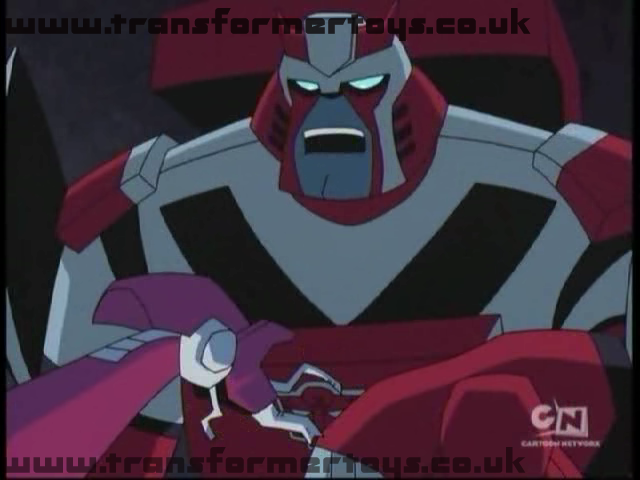 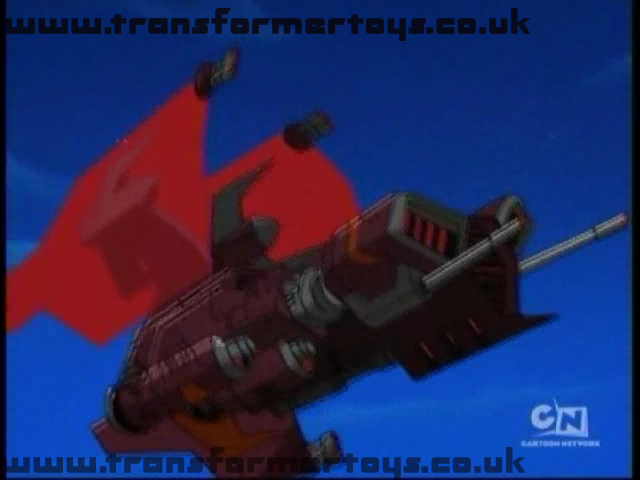 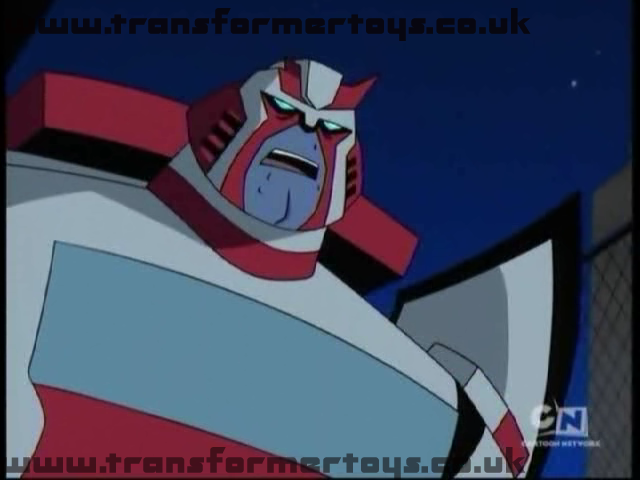 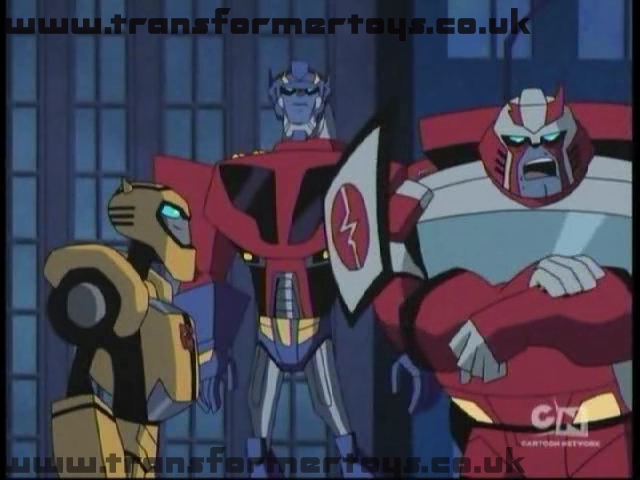 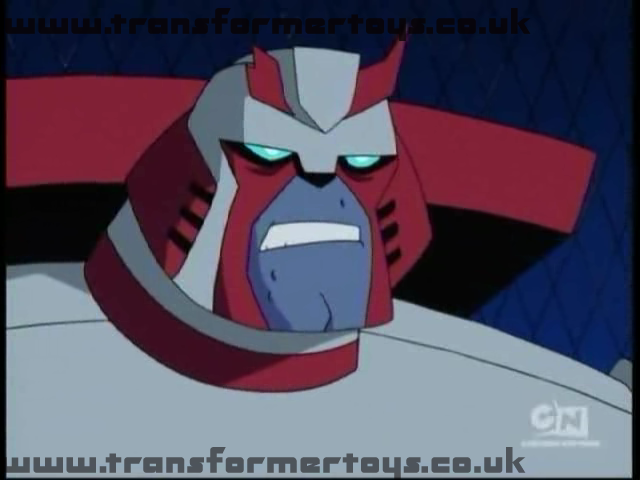 The episode ends with Ratchet patching up Prime and finally opening up to the Autobot commander.